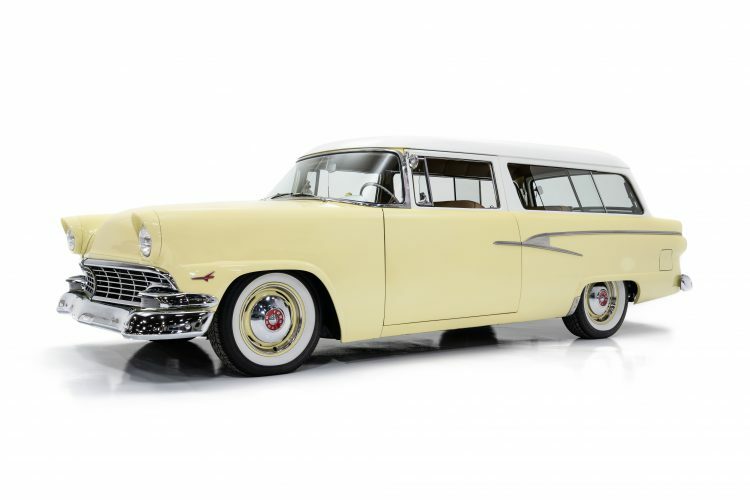 In 1951, Lewis D. Crusoe, a retired GM executive was lured out of retirement by Henry Ford II to build a new car. 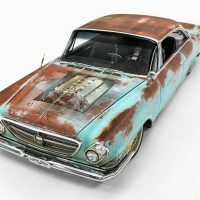 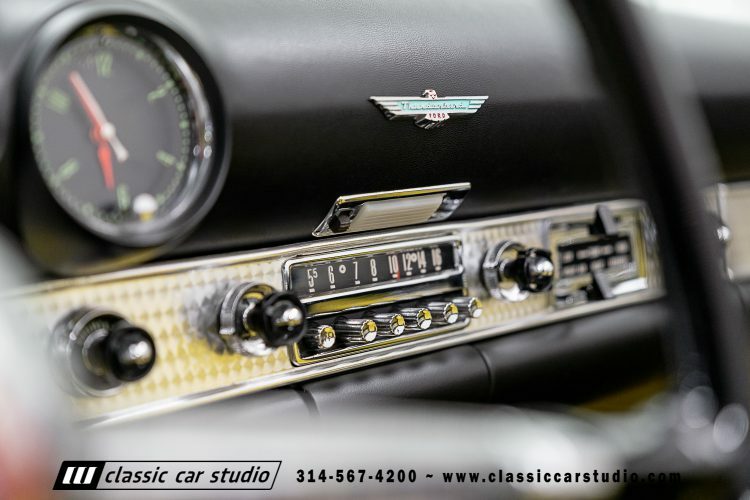 While in Paris with Frank Hershey, a chief Ford designer, Crusoe pointed at a sports car and asked Walker, “Why can’t we have something like that?” These three men are generally credited with creating the original Thunderbird. The vision was a two-seat convertible powered by an Interceptor V8 that was capable of going 100 MPH. 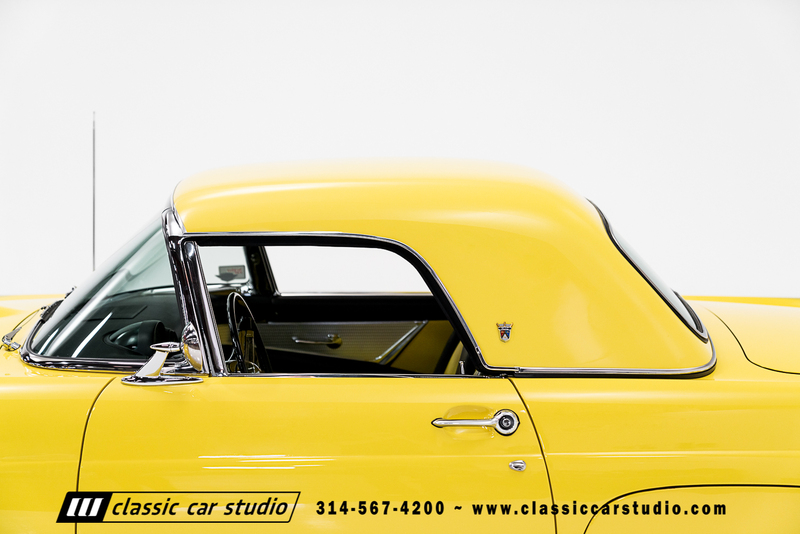 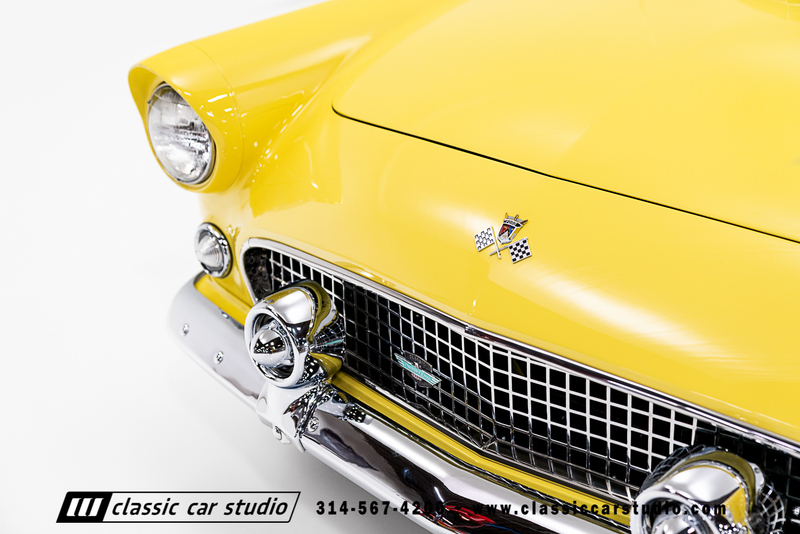 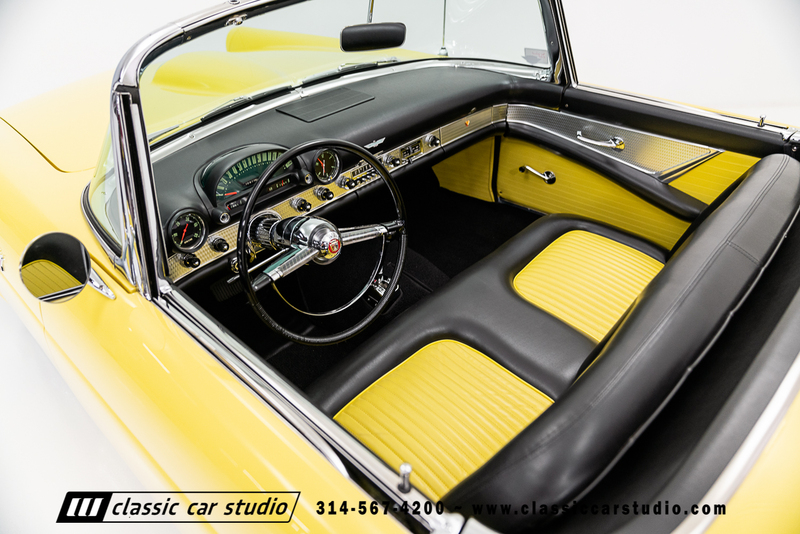 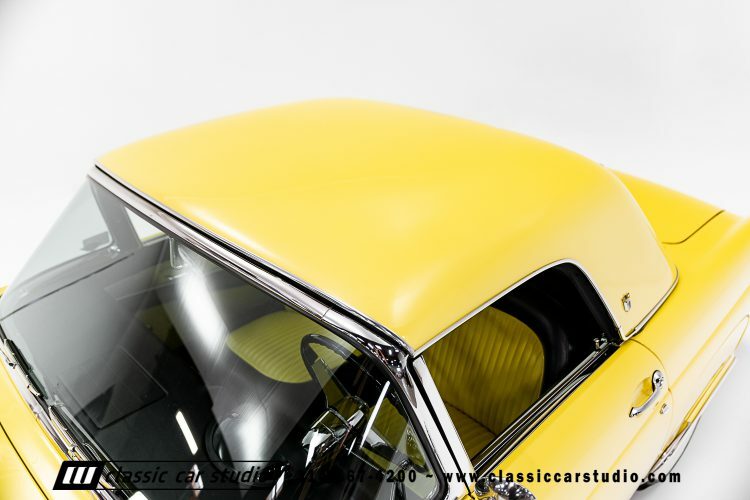 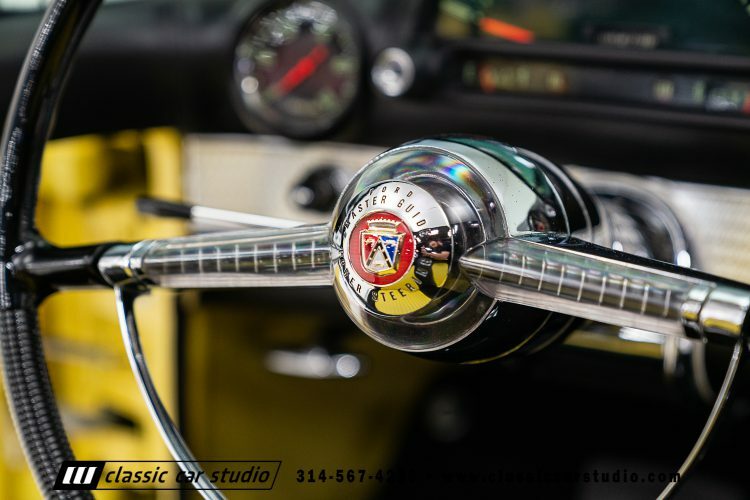 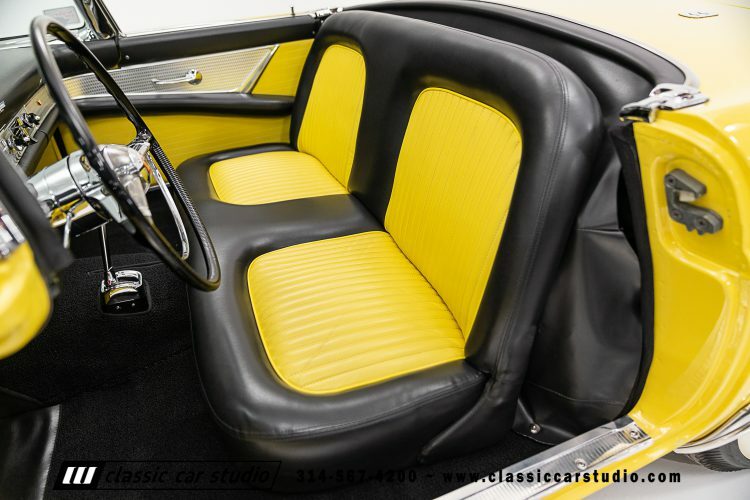 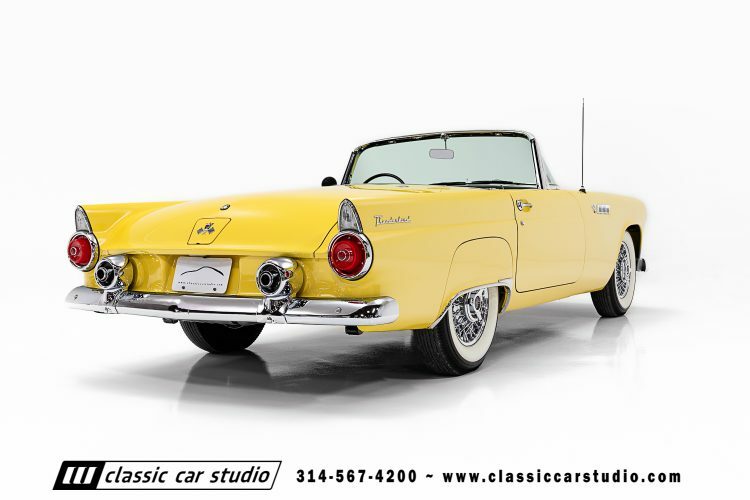 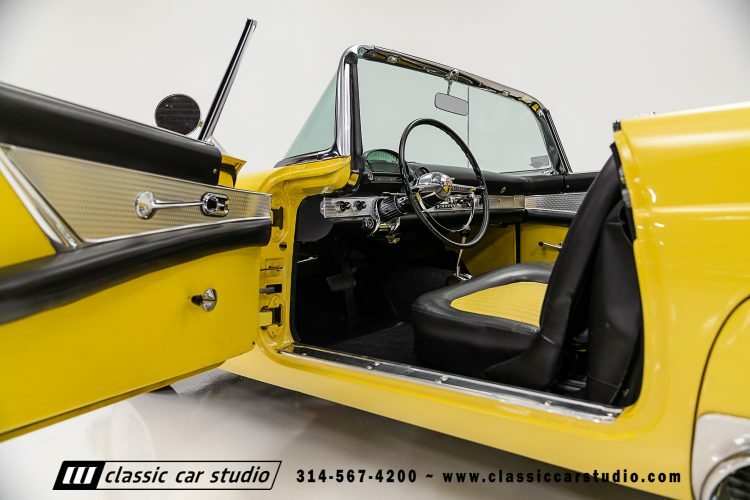 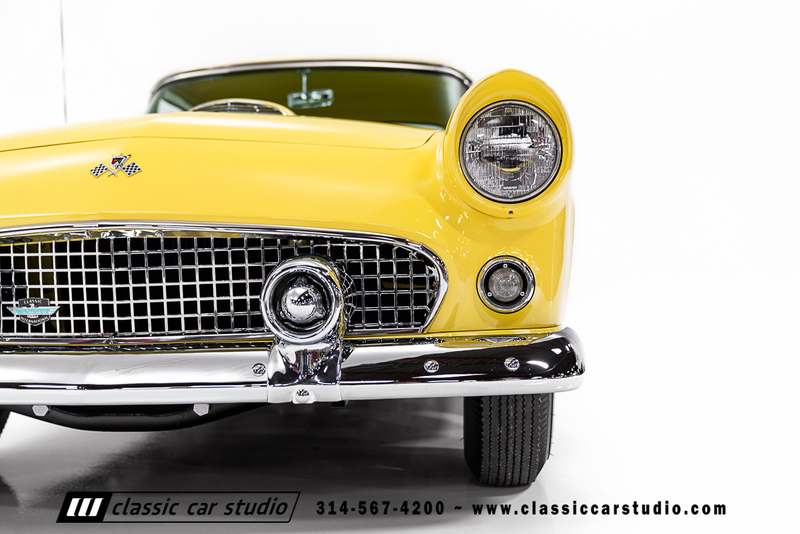 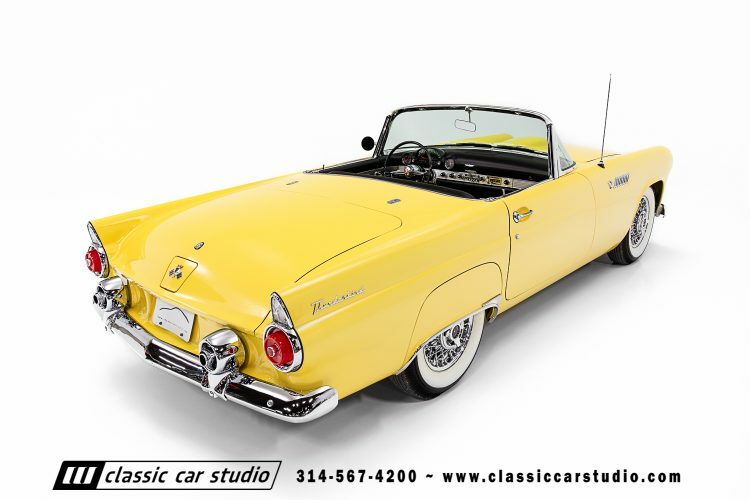 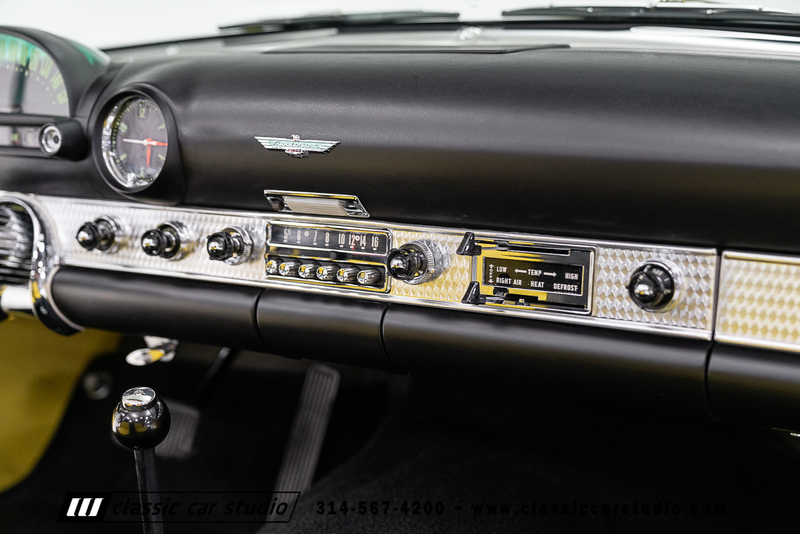 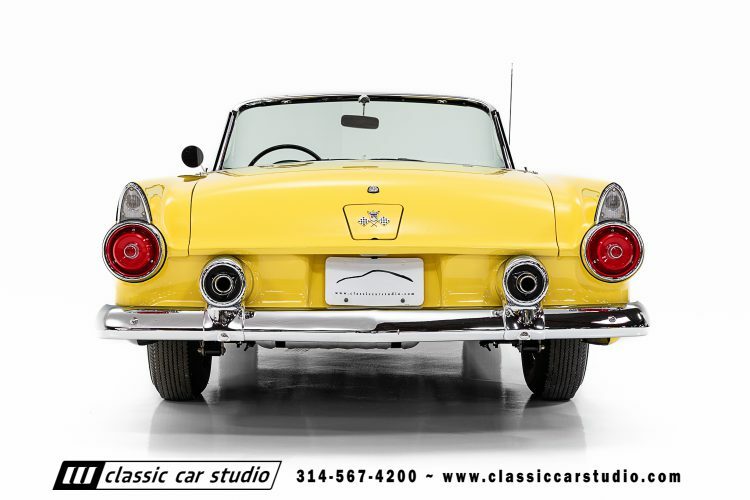 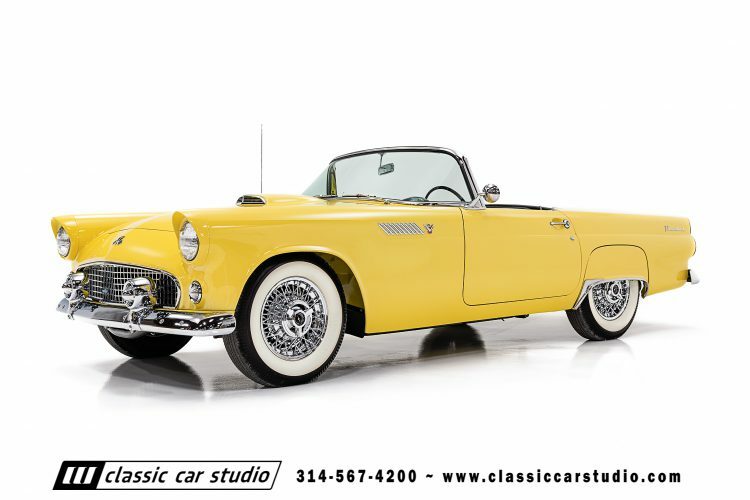 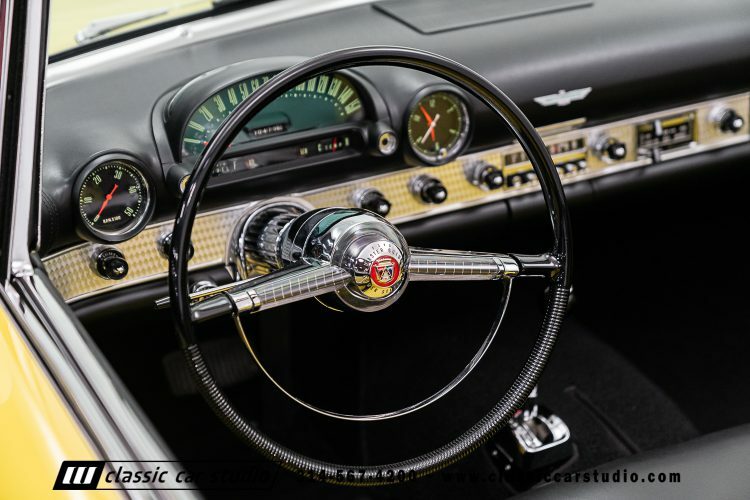 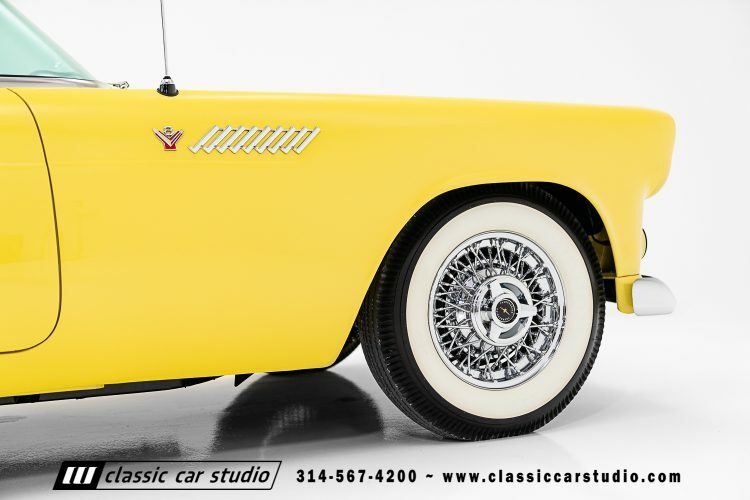 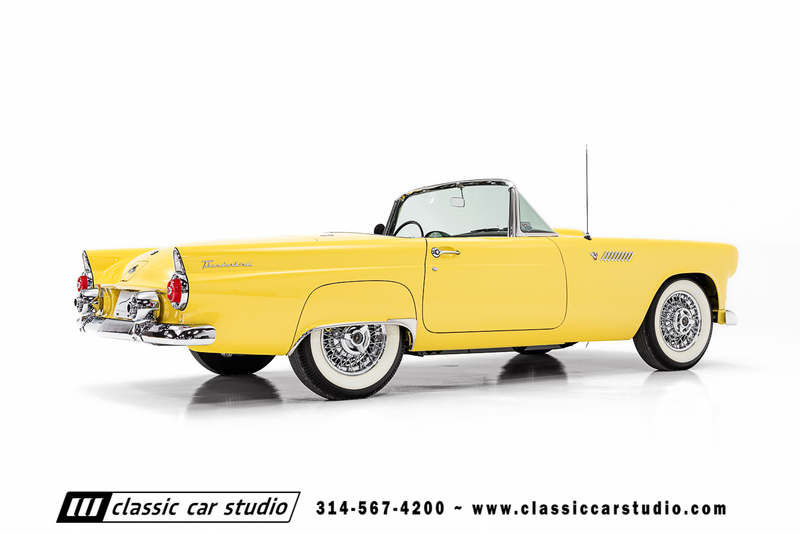 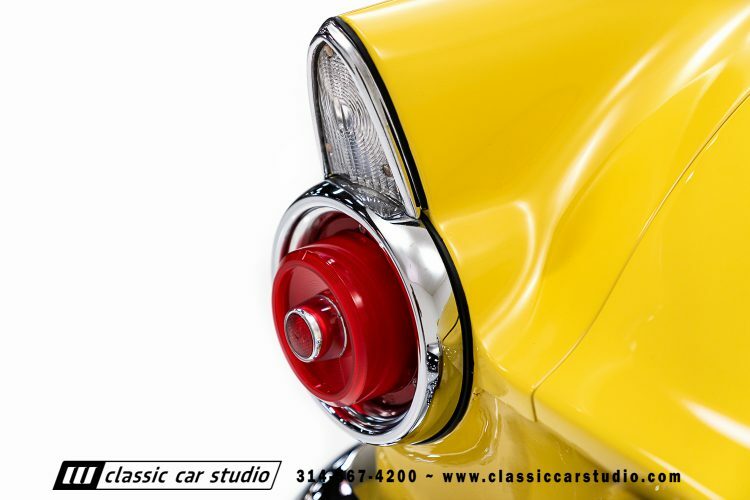 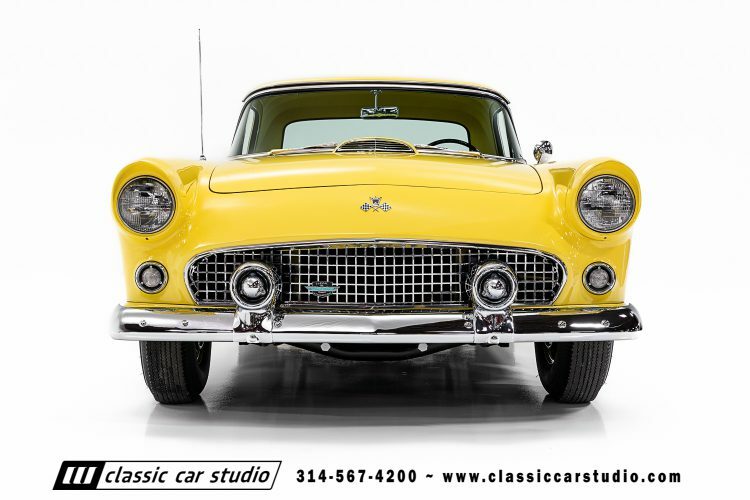 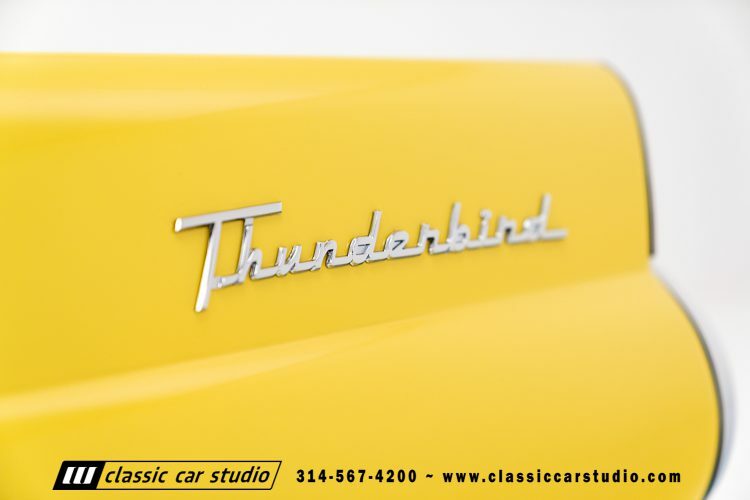 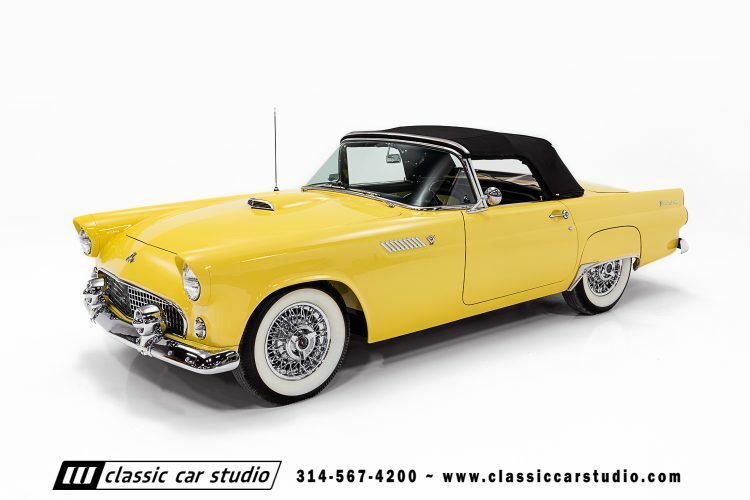 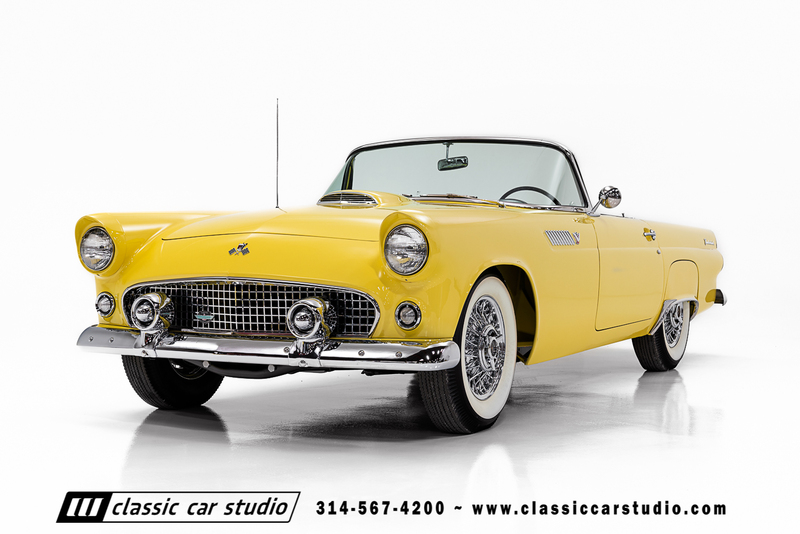 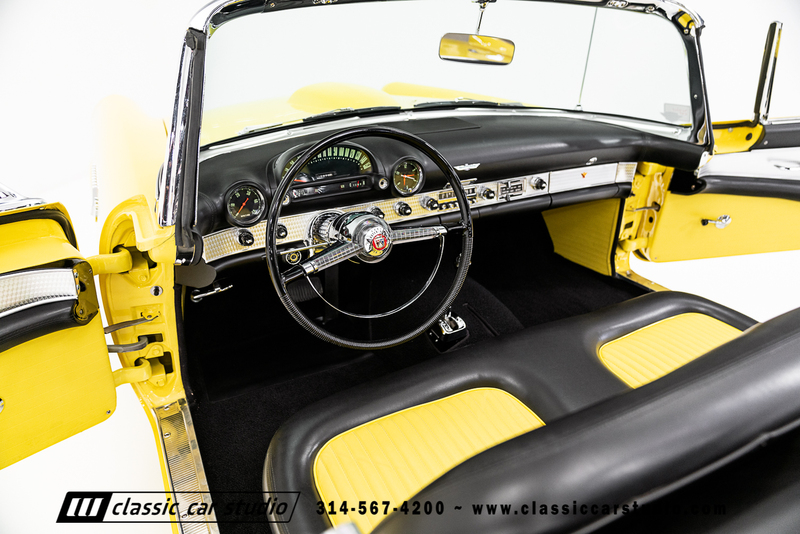 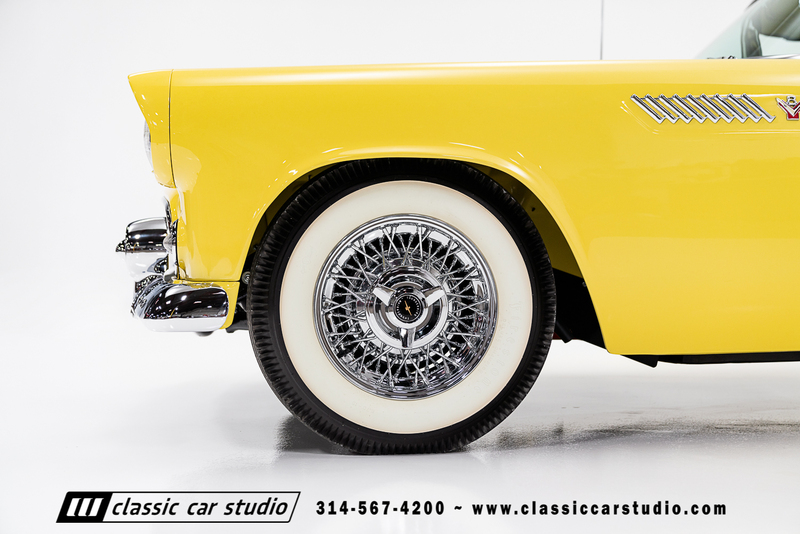 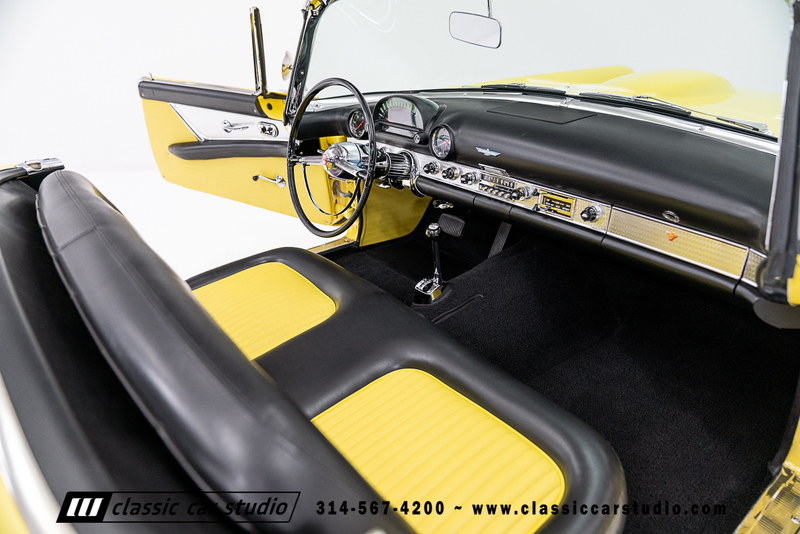 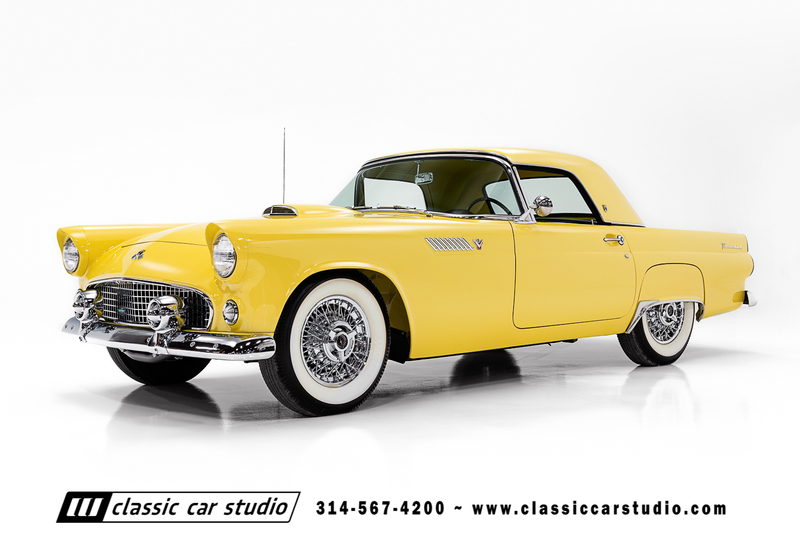 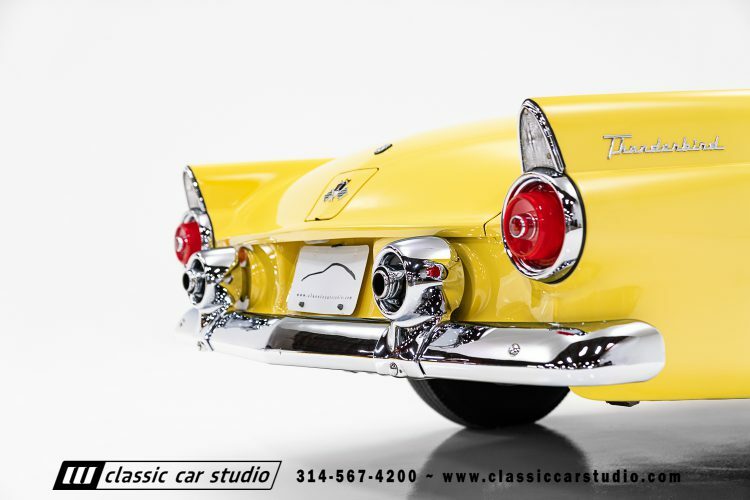 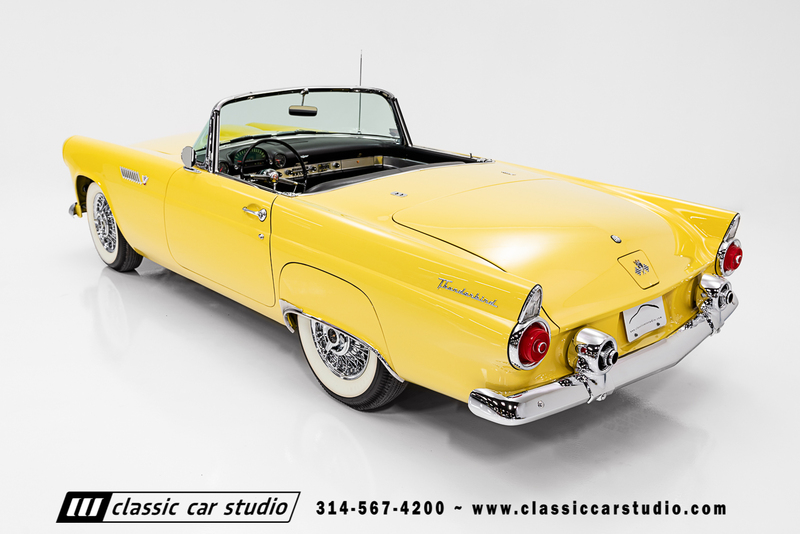 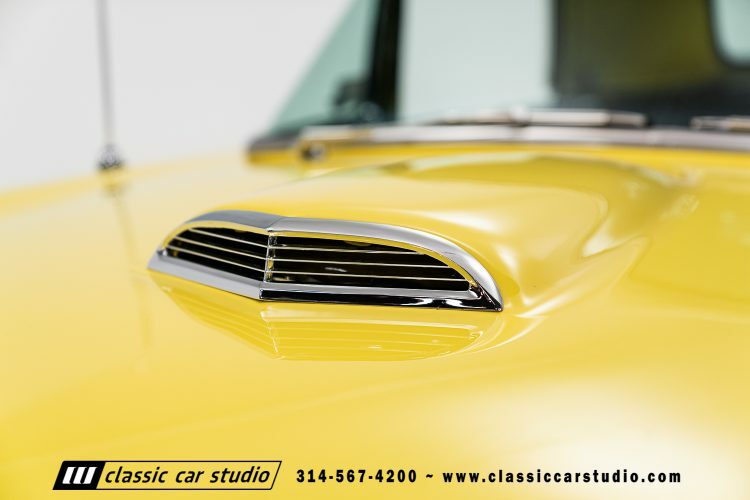 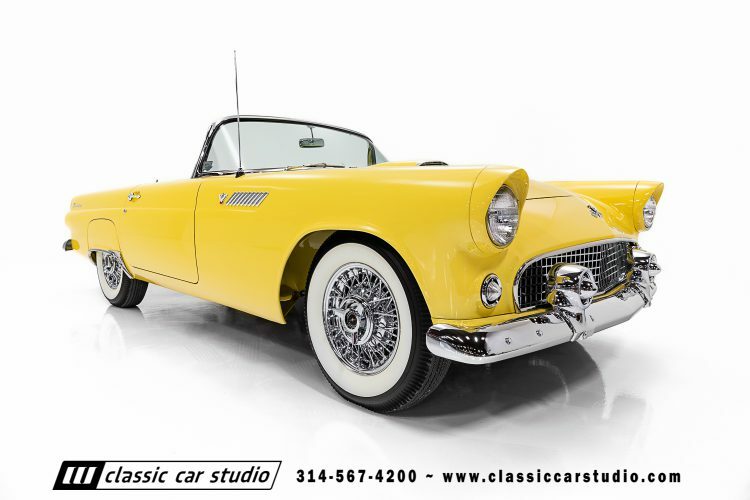 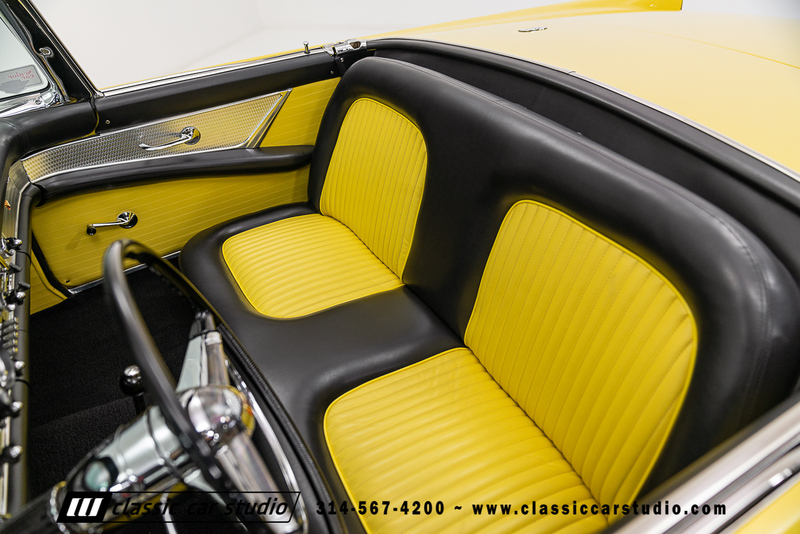 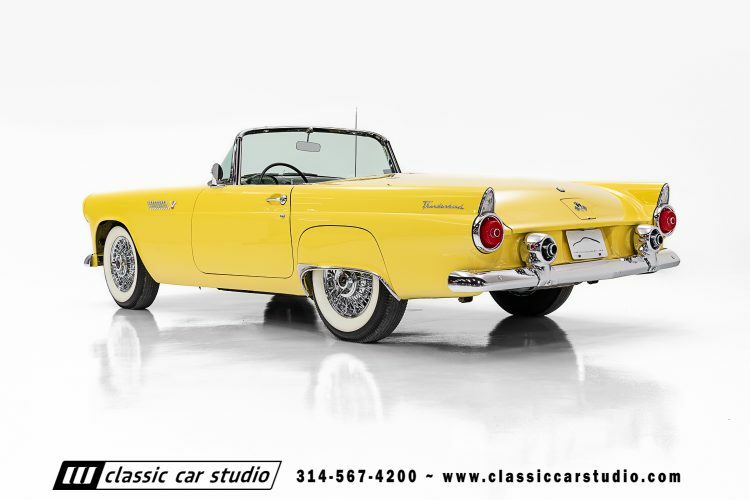 This Minter restored Thunderbird is finished in Goldenrod Yellow with has undergone a complete frame-off restoration to show quality condition. 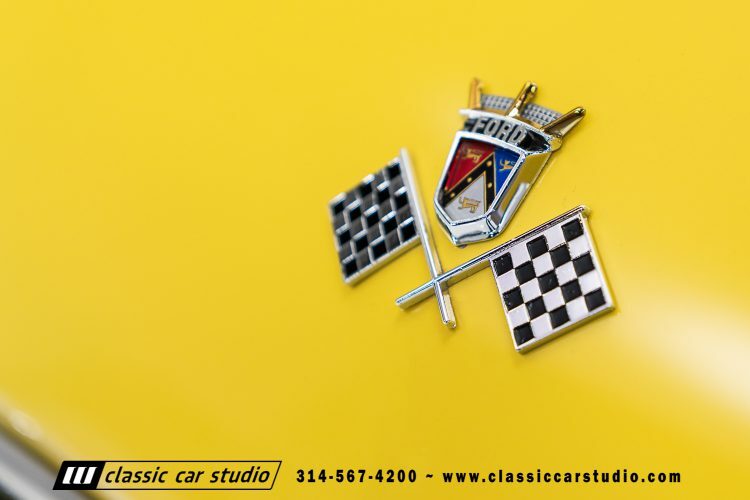 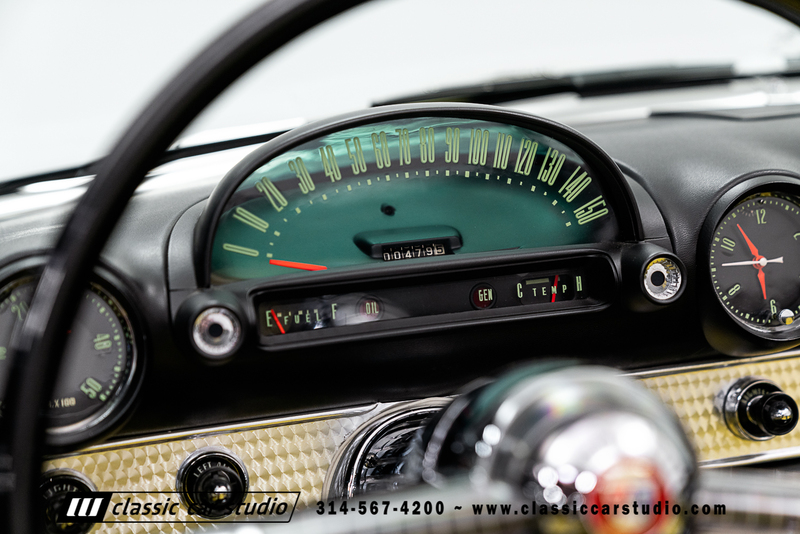 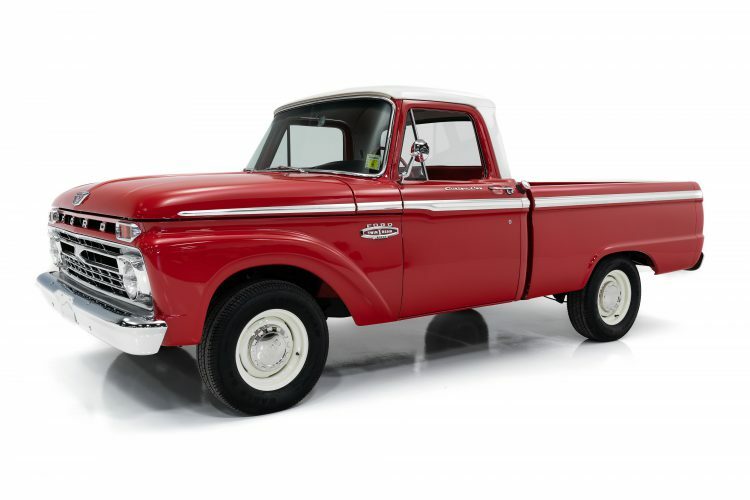 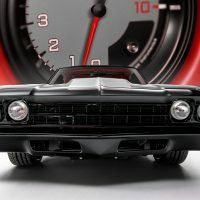 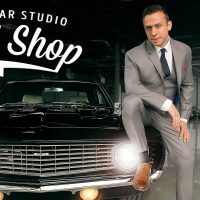 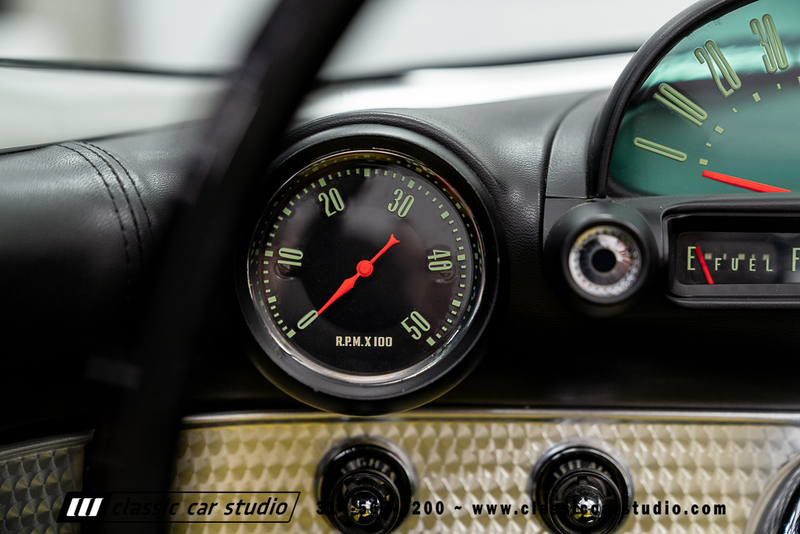 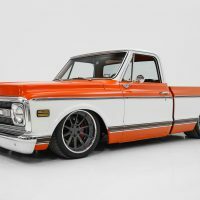 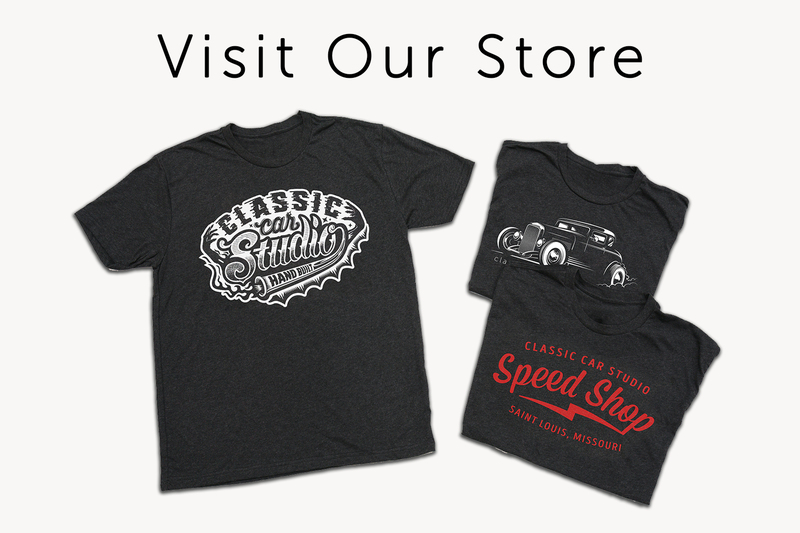 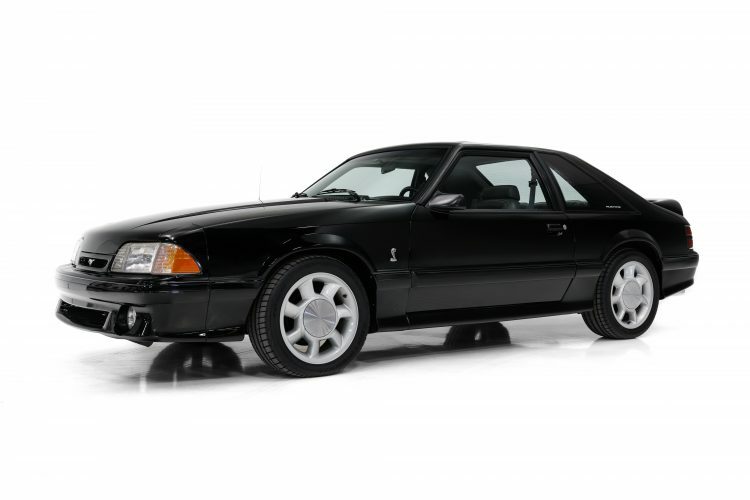 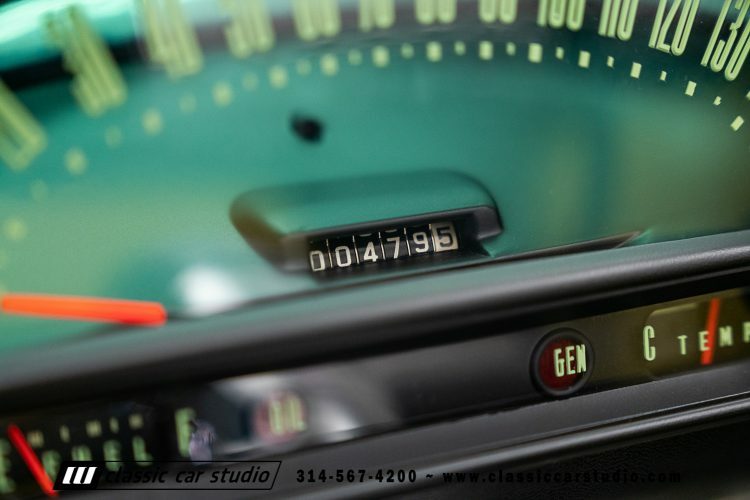 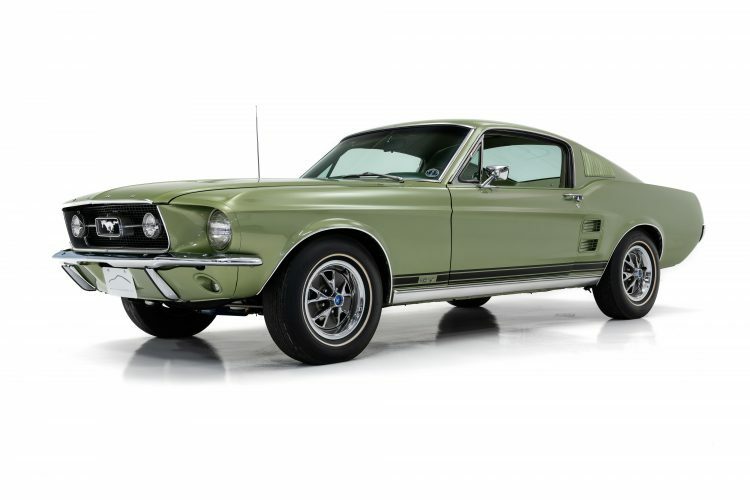 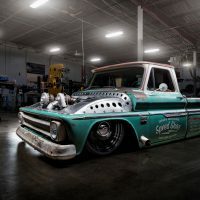 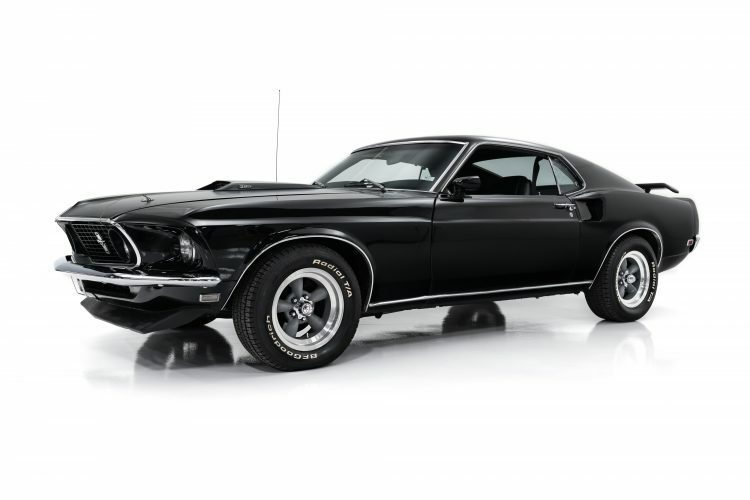 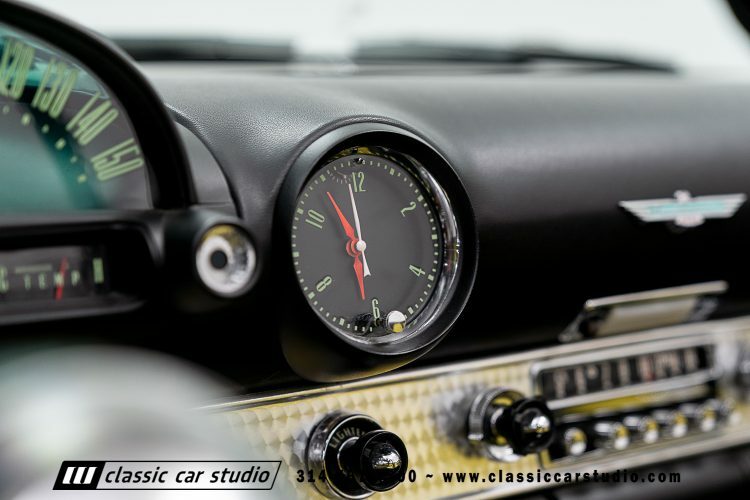 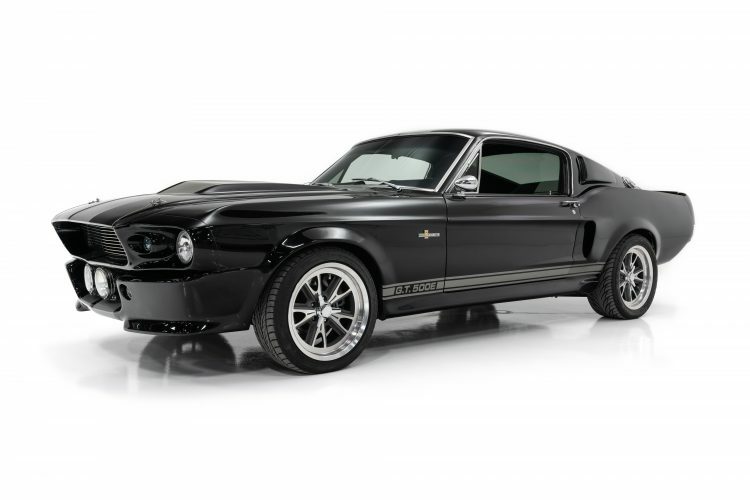 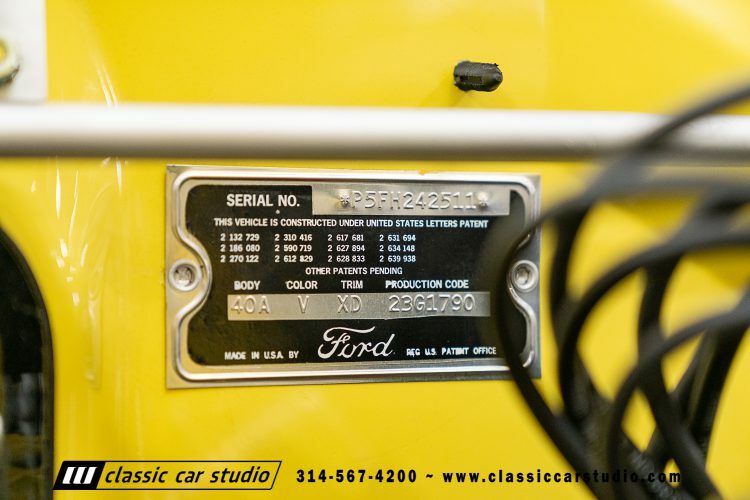 The Ford has only 479 miles since the car was completed and just came out of an impeccable collection of vintage automobiles. 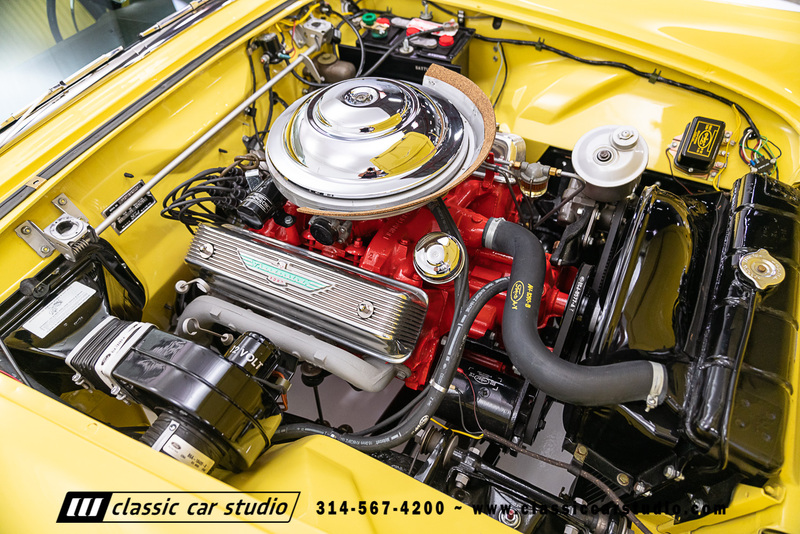 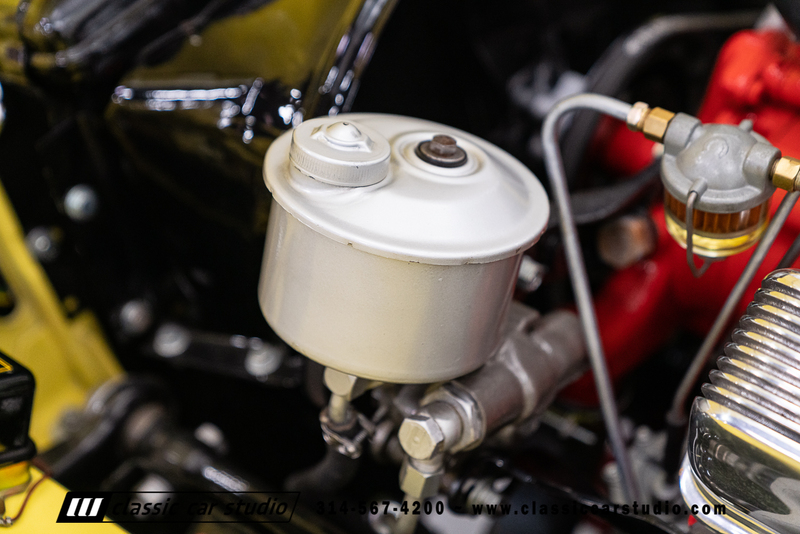 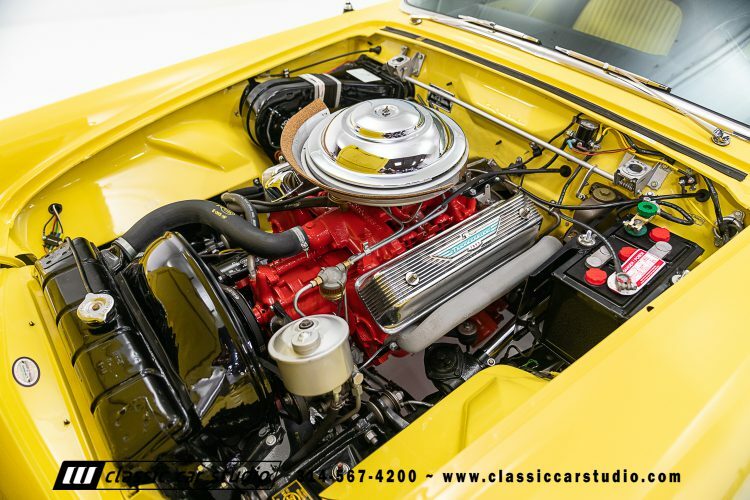 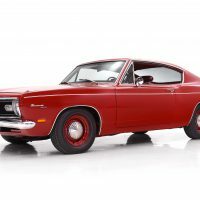 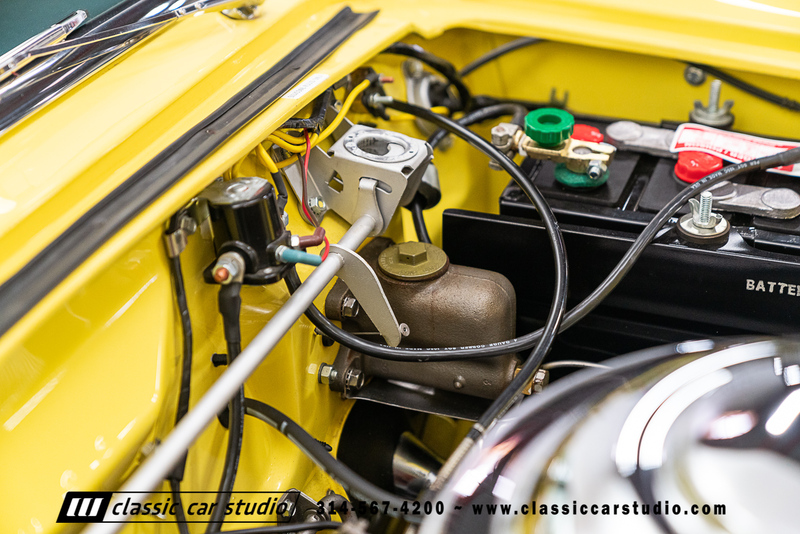 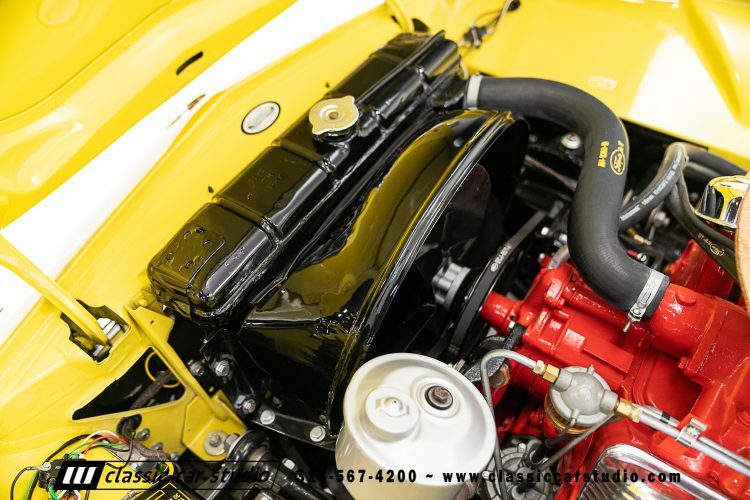 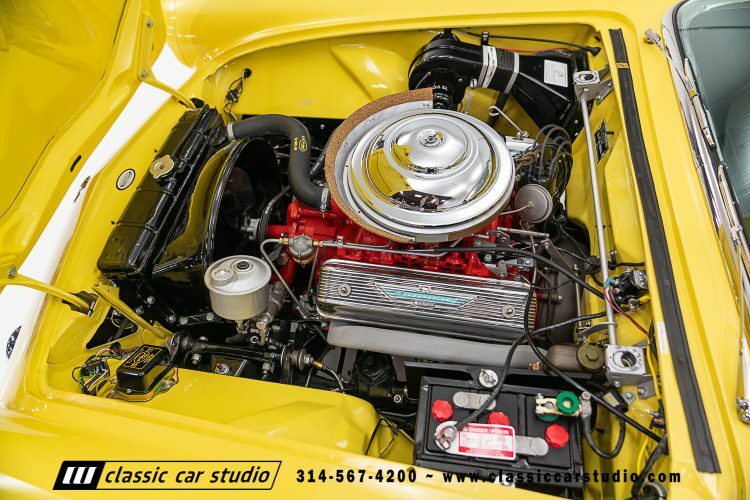 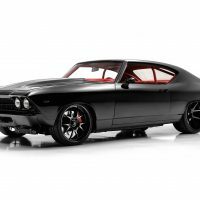 The engine compartment is very correct and exceptionally nice featuring all correct wiring, belts, hoses, lines, air cleaner and restored heater motor. All of the paint finishes are done to show quality. 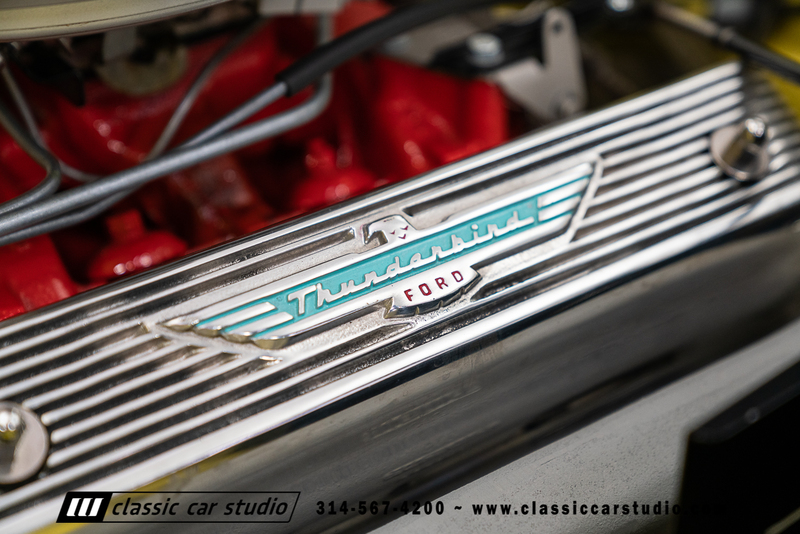 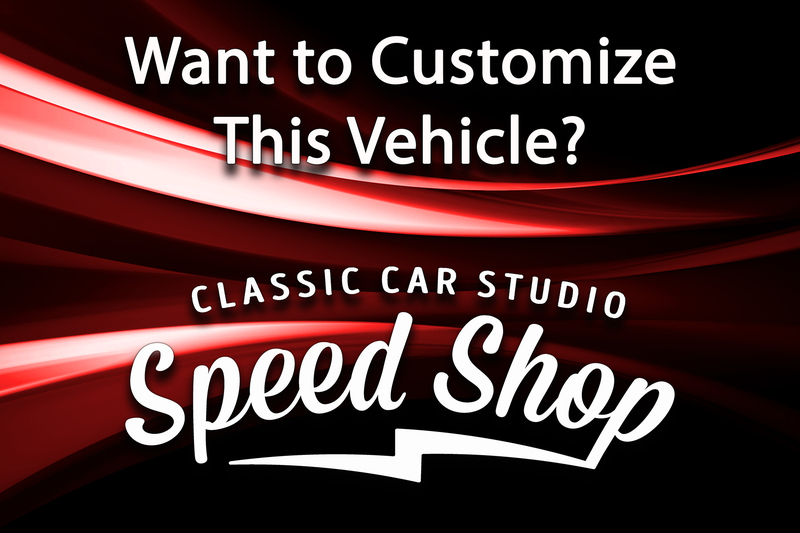 The 292 Thunderbird V8 was completely rebuilt and has been updated with an electric choke for easy startup. The engine operates smoothly and runs nice and cool. 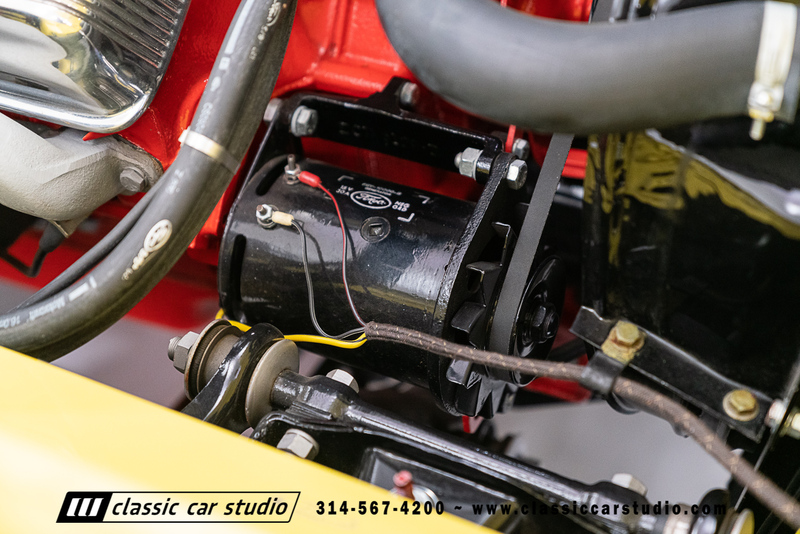 The Ford-O-Matic transmission was also rebuilt and shifts out correctly. 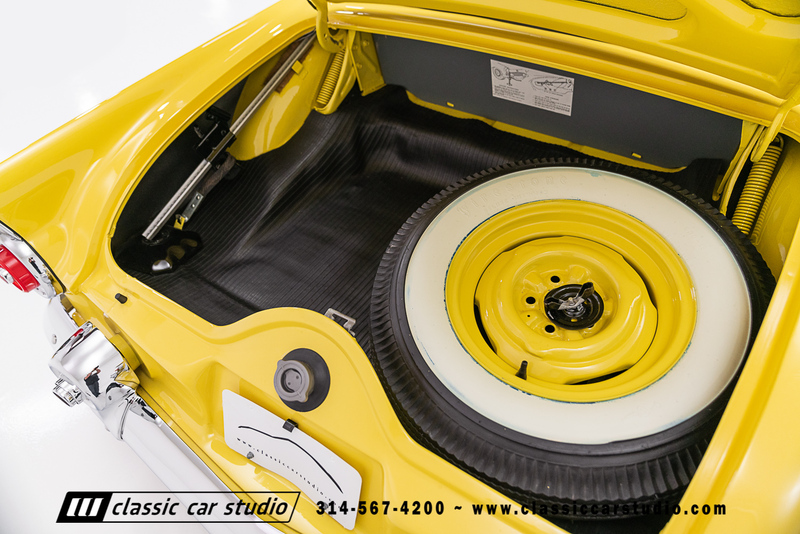 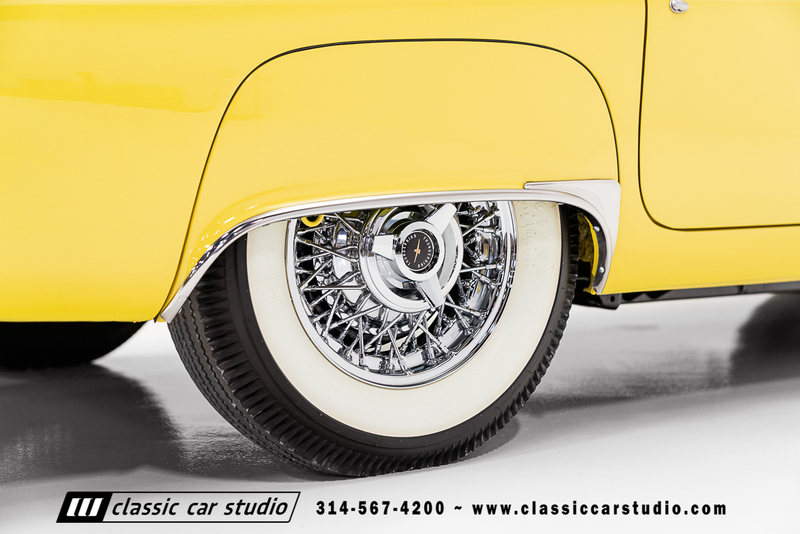 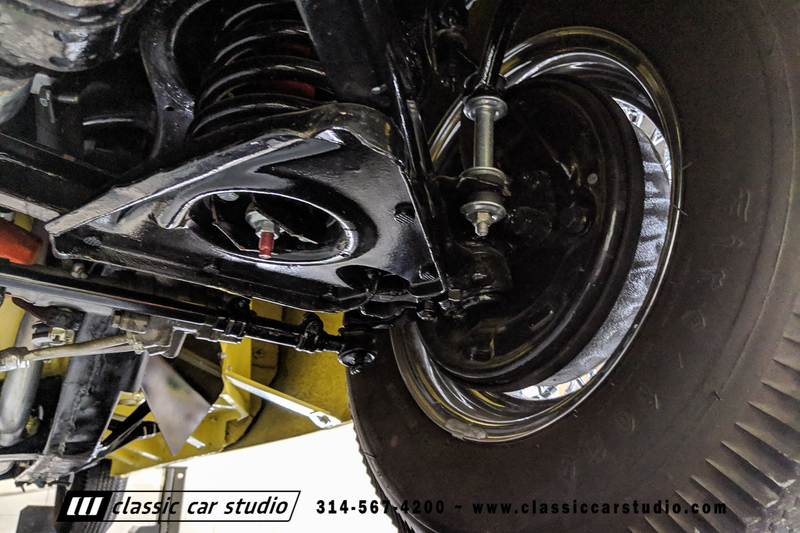 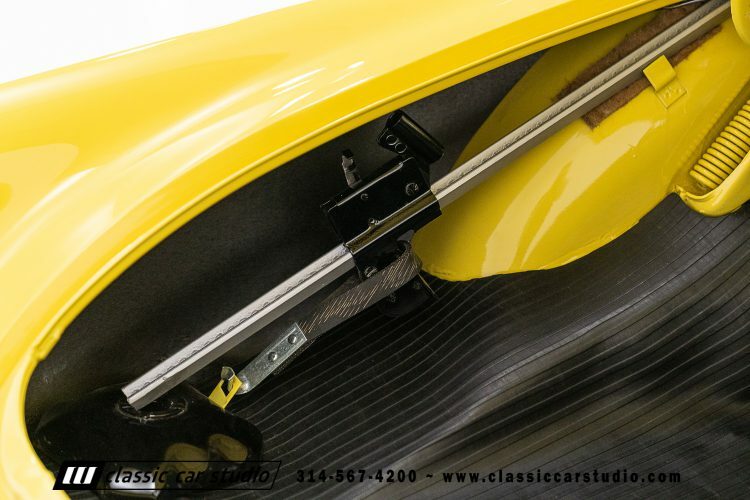 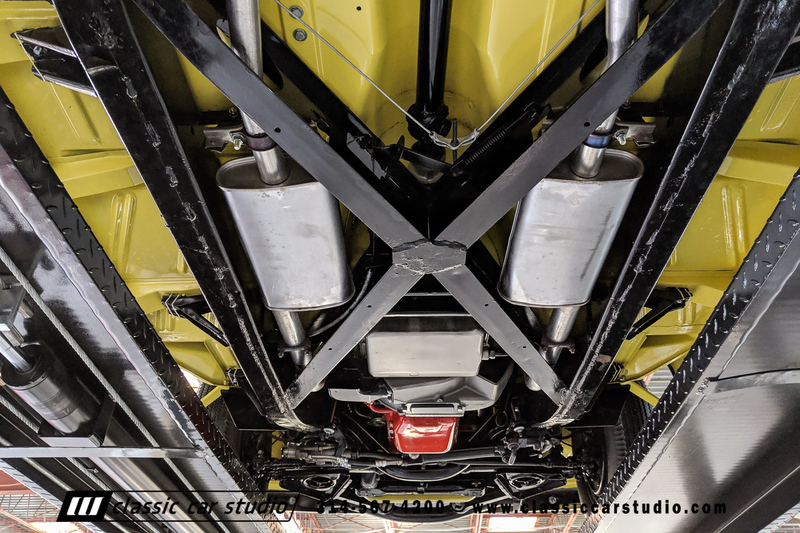 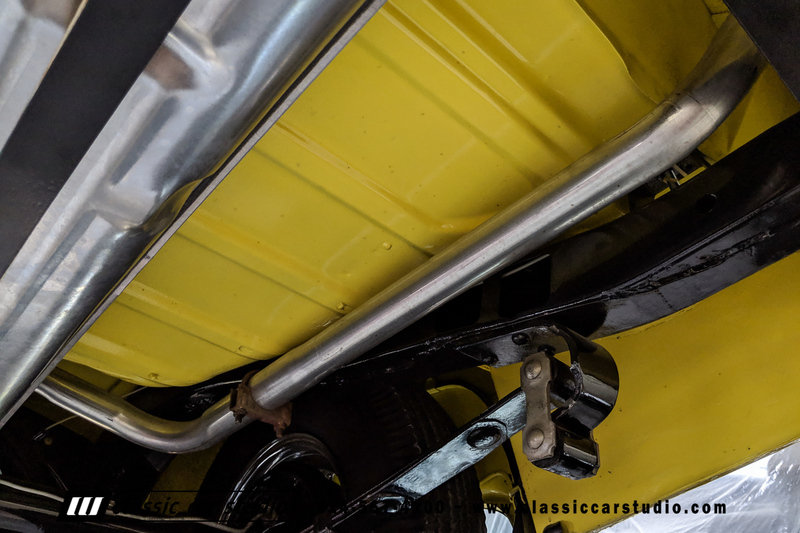 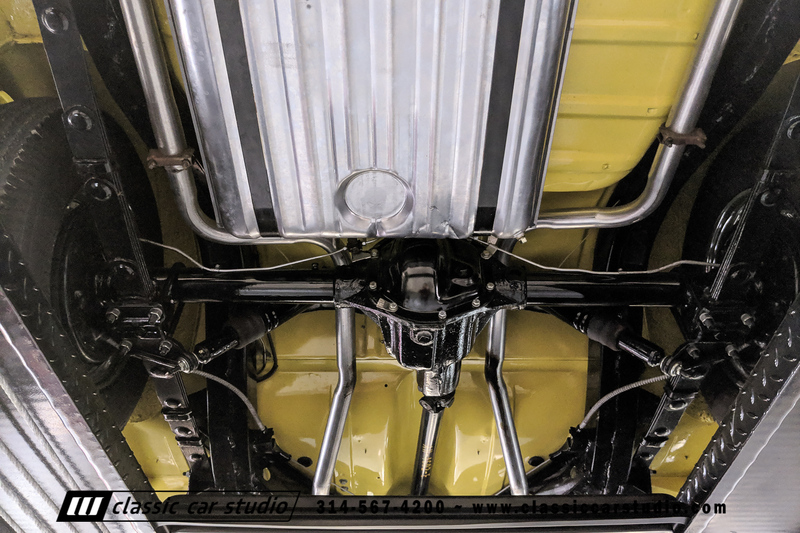 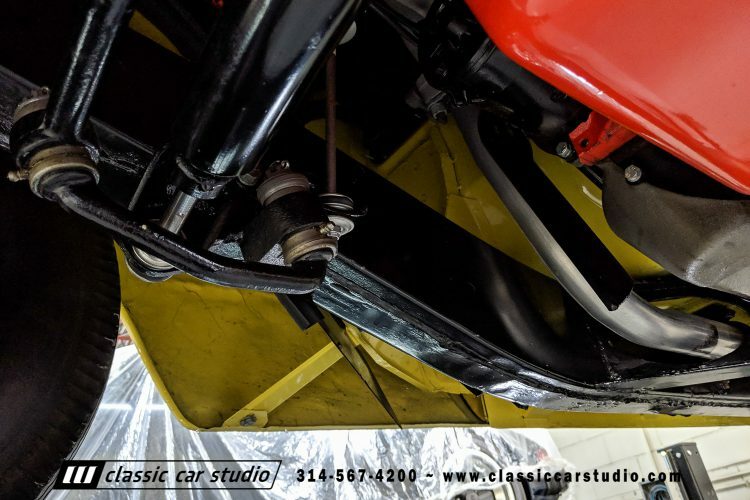 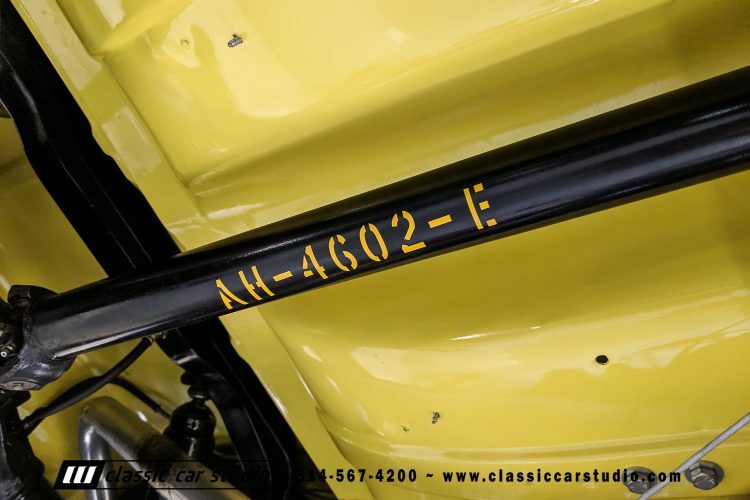 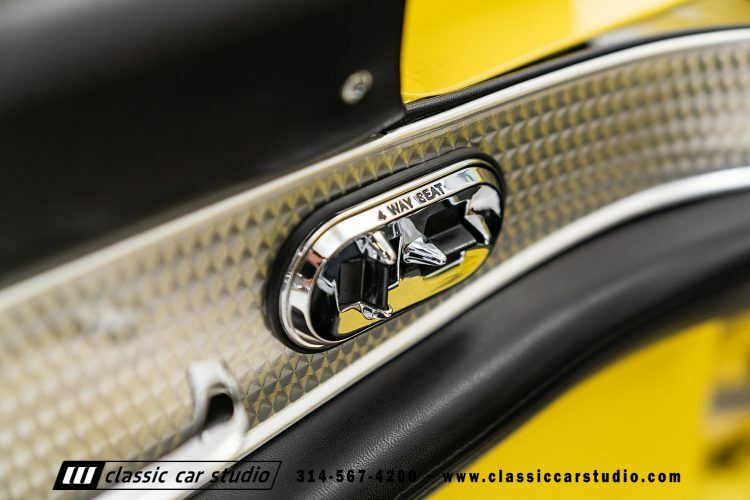 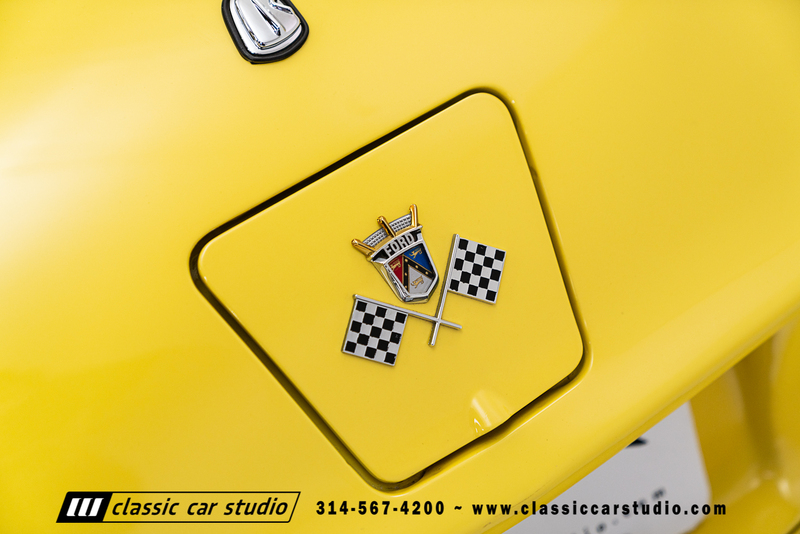 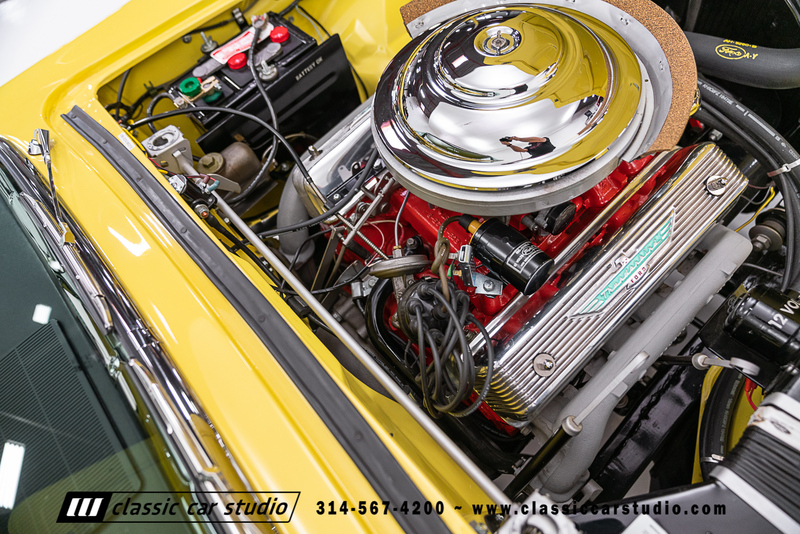 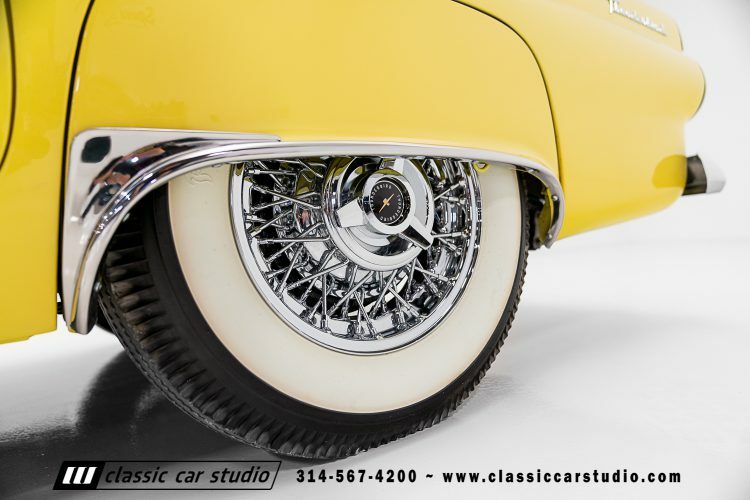 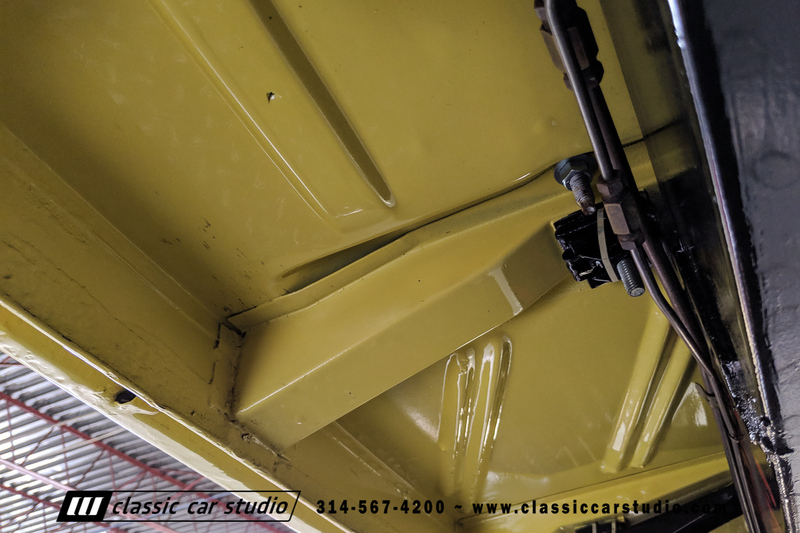 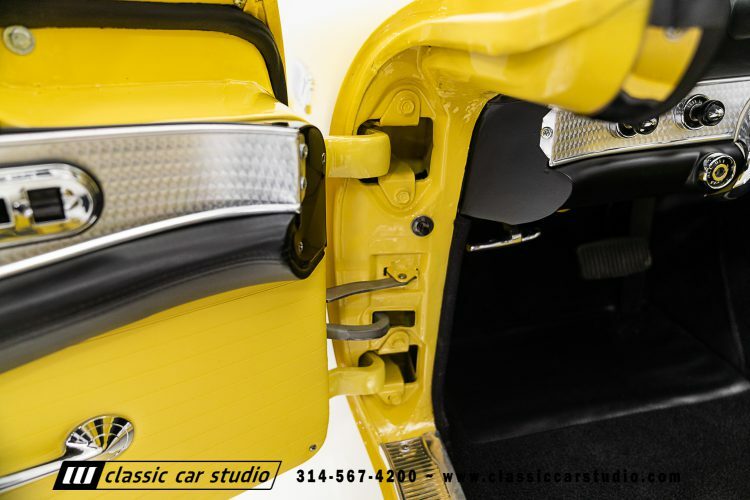 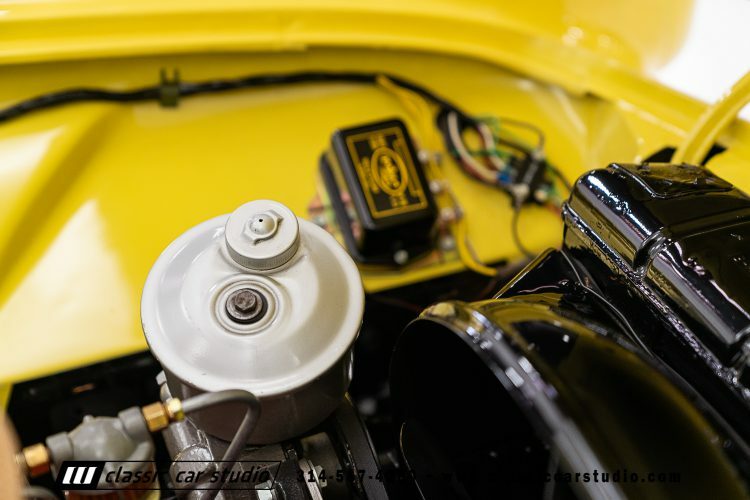 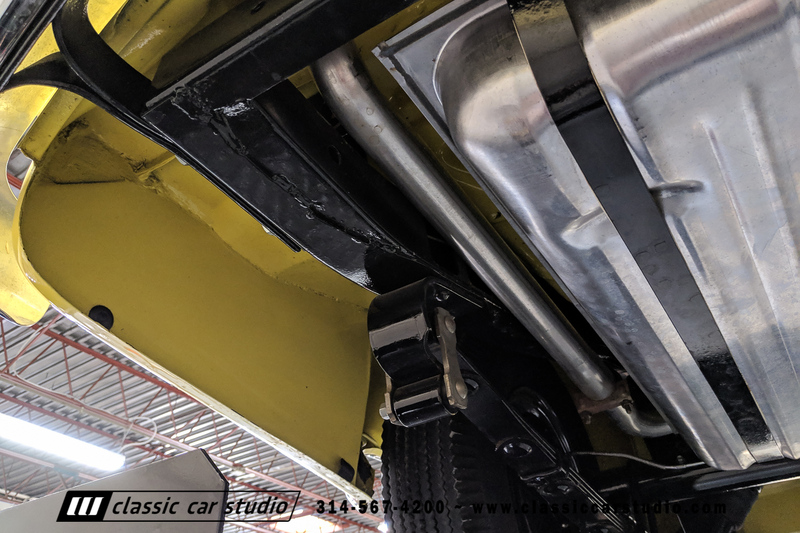 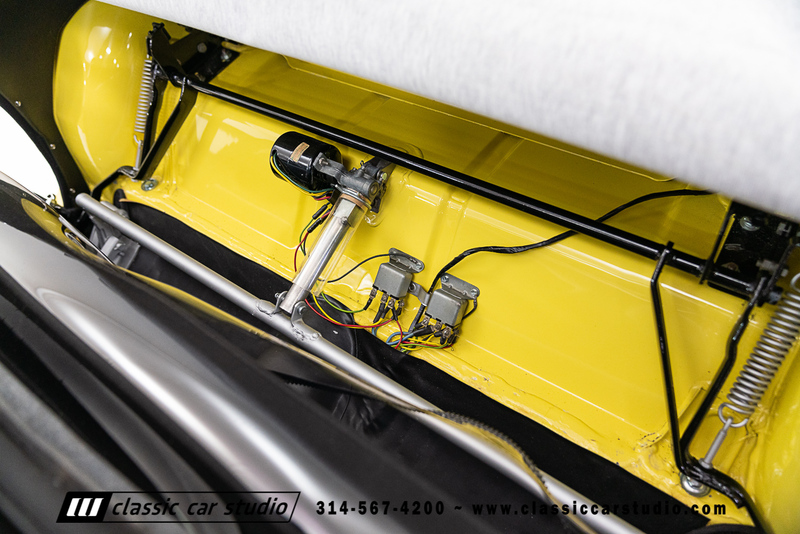 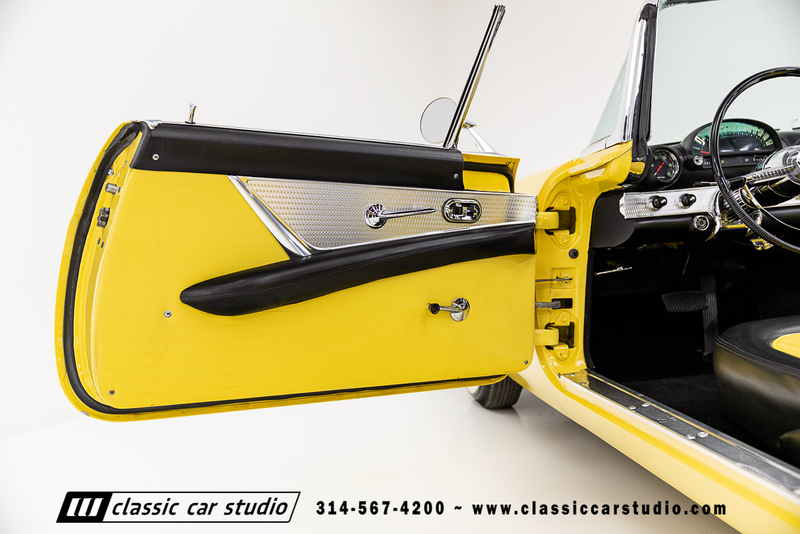 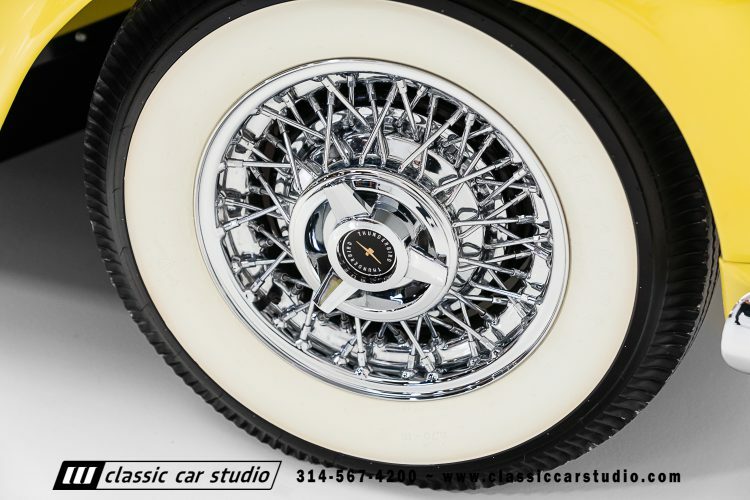 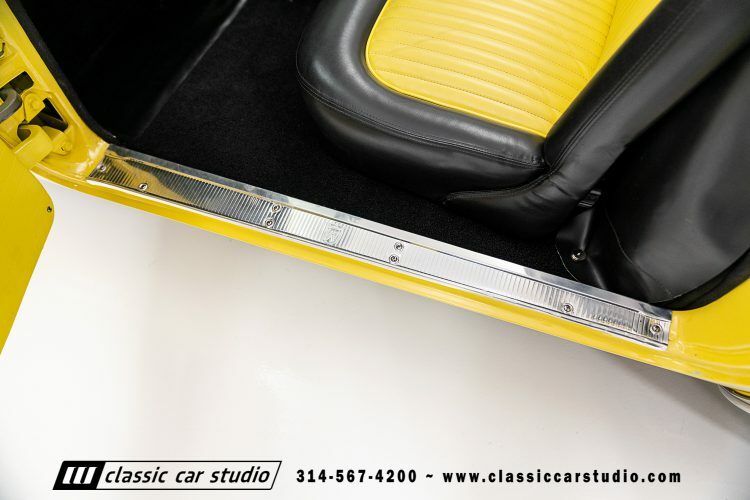 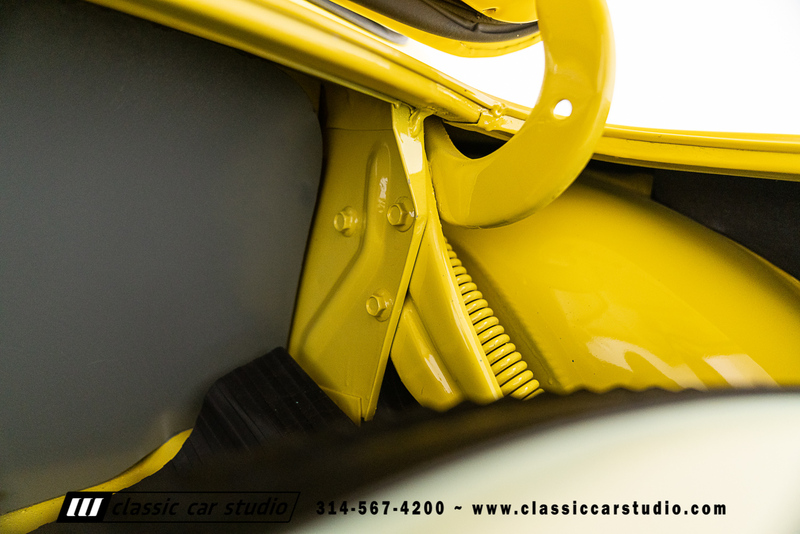 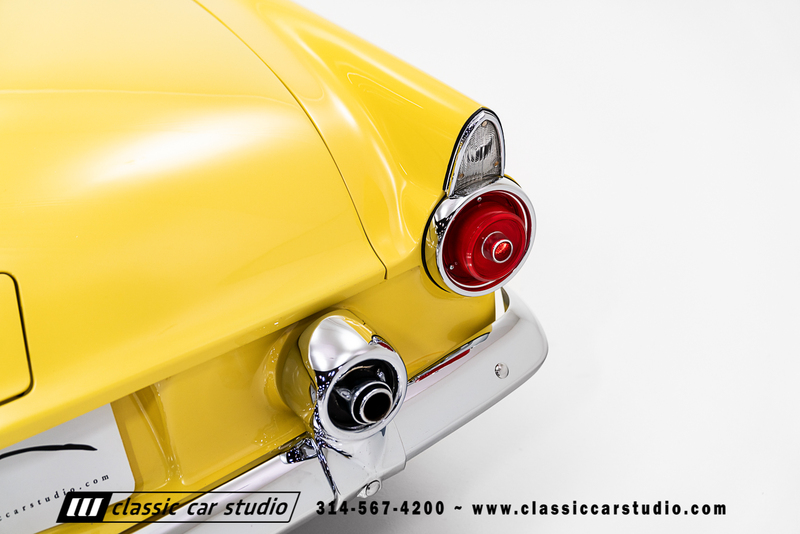 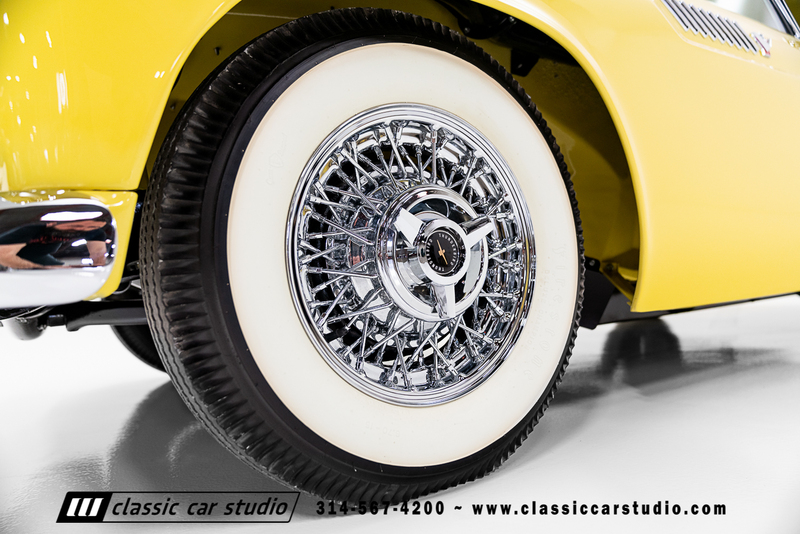 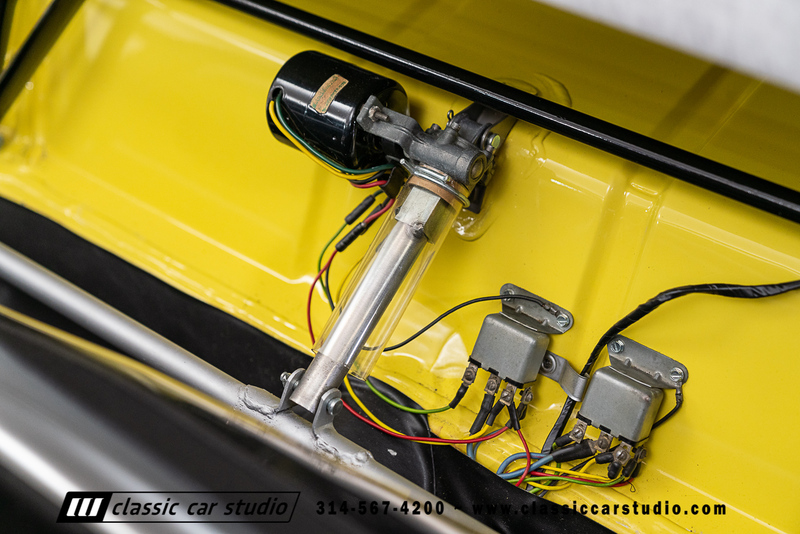 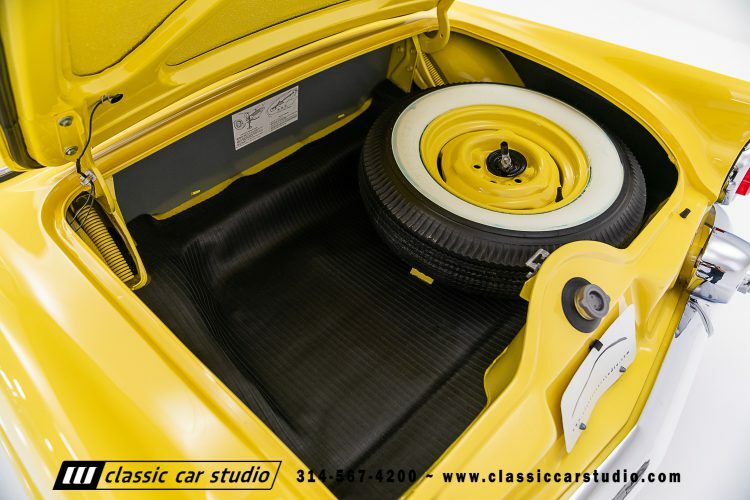 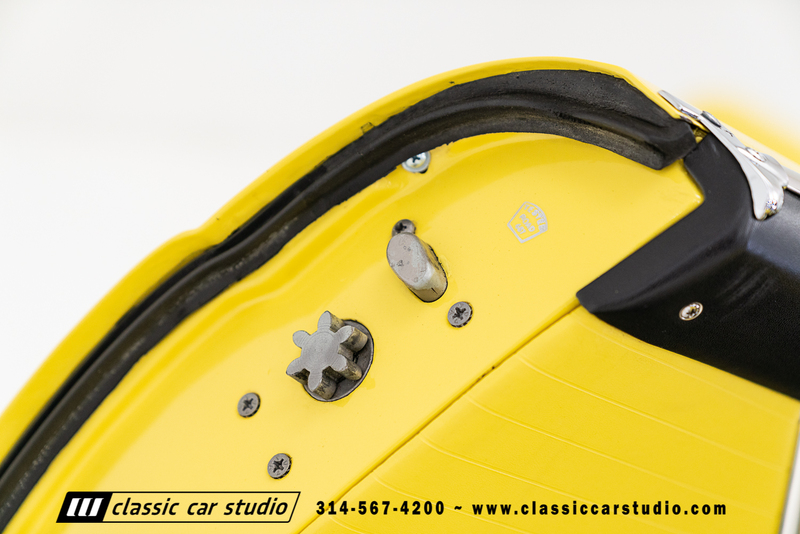 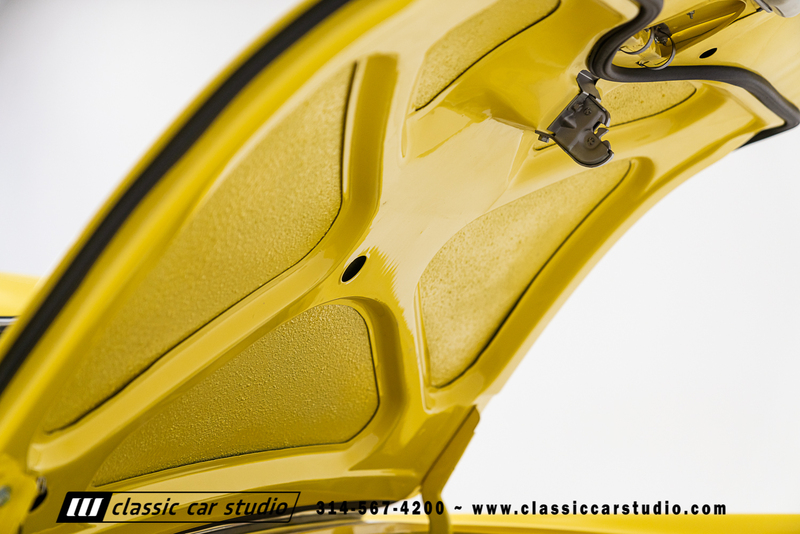 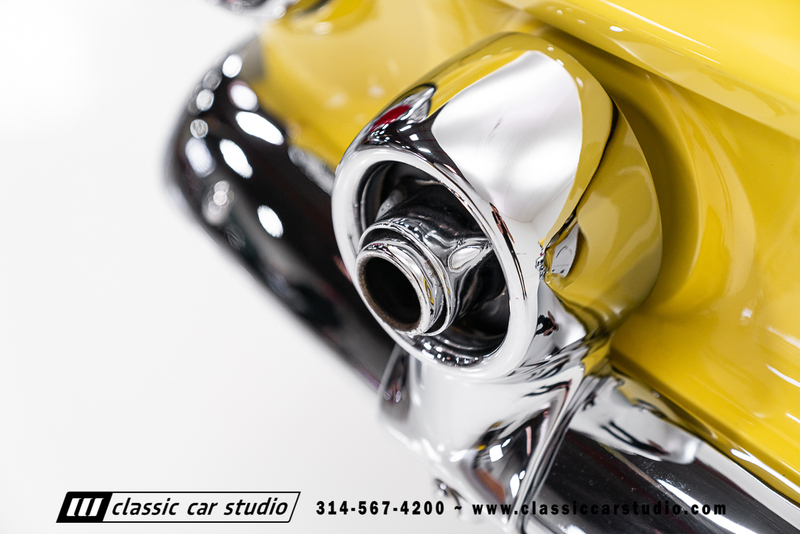 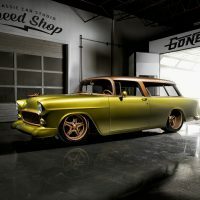 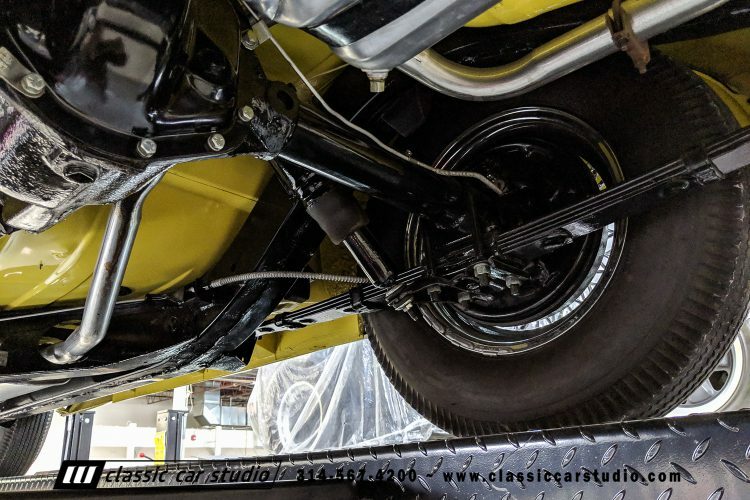 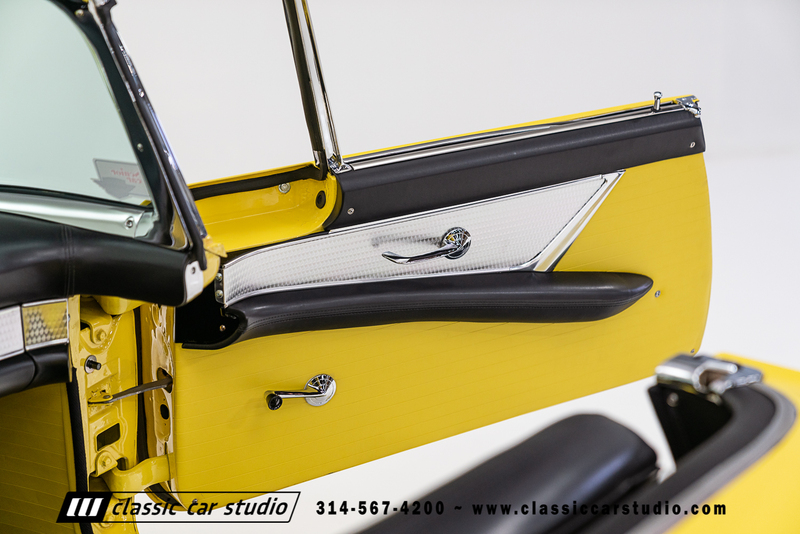 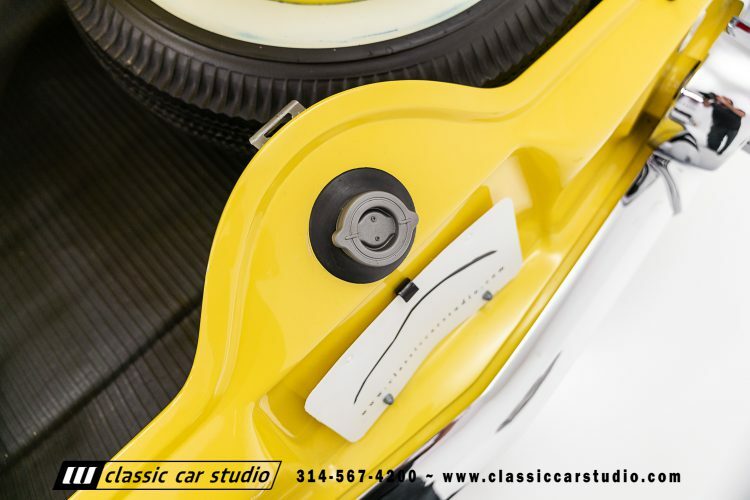 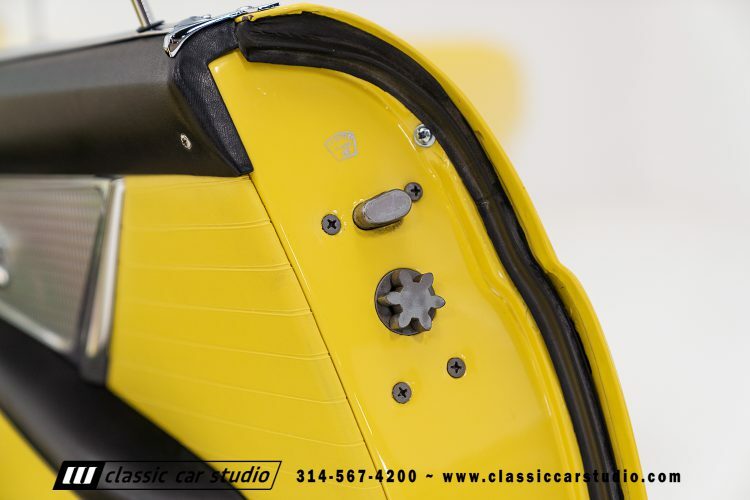 The exterior and undercarriage show off a bare metal refinish in show quality Goldenrod Yellow. 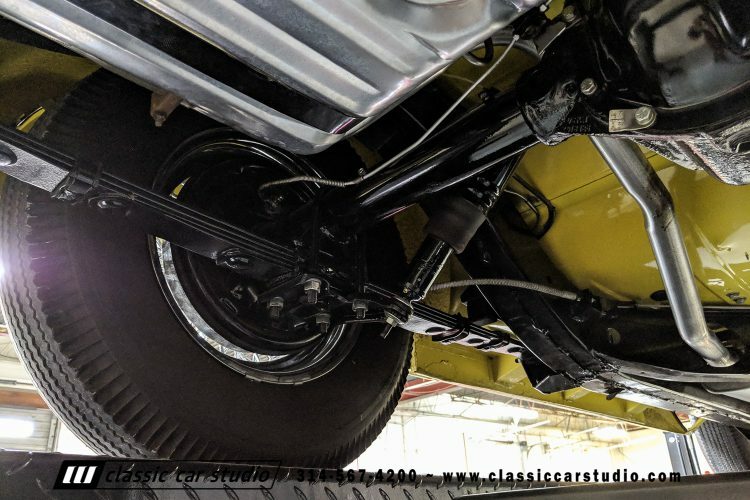 All of the chrome and stainless have been redone from top to bottom and all of the rubber is new as well. 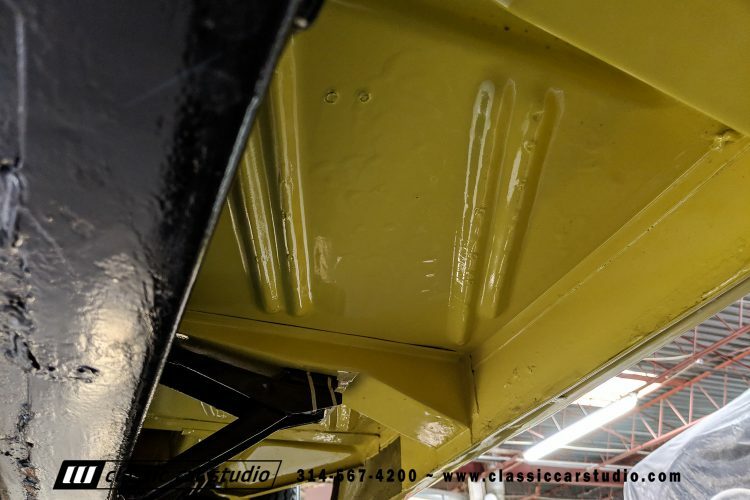 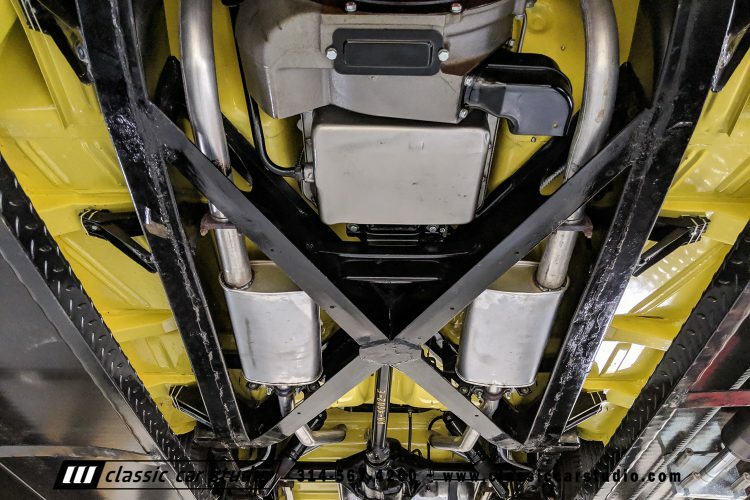 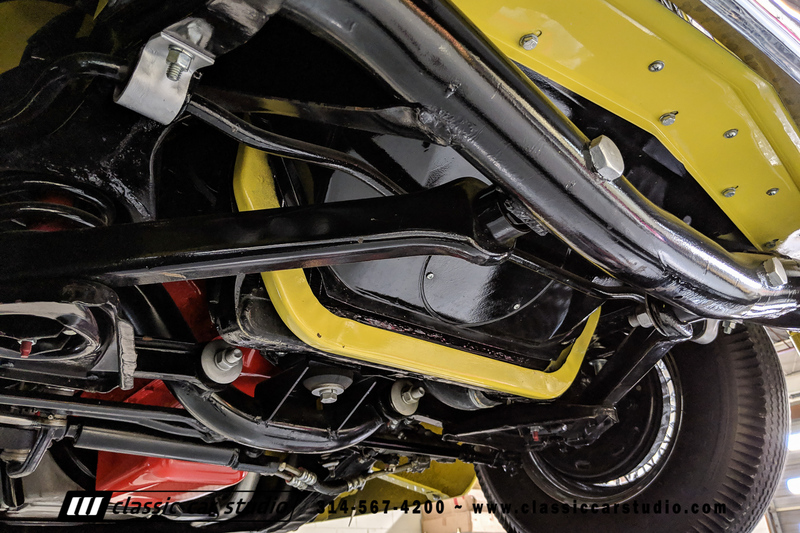 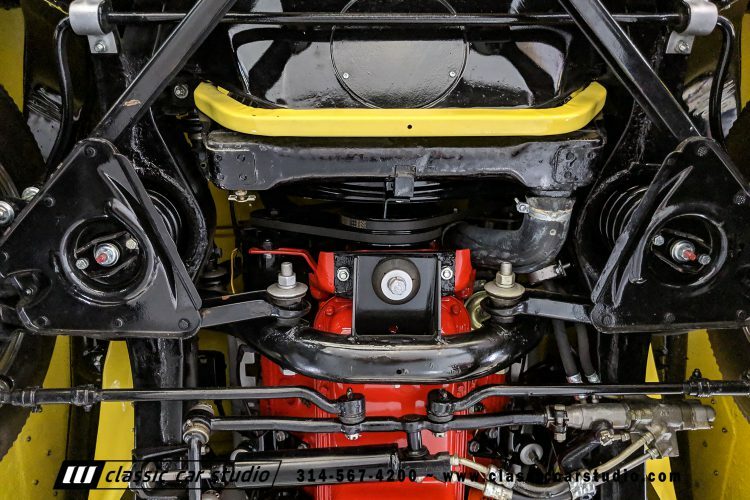 The frame was stripped and resprayed in the correct black hue and the underbody is finished in yellow as well. 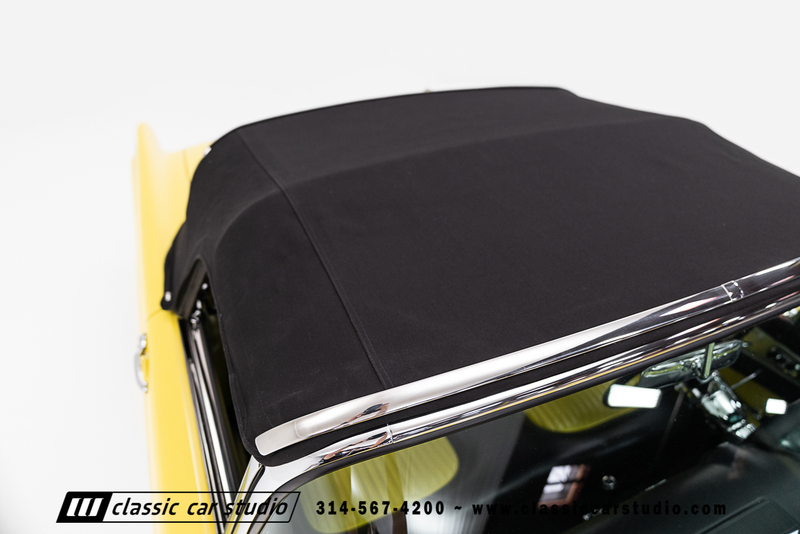 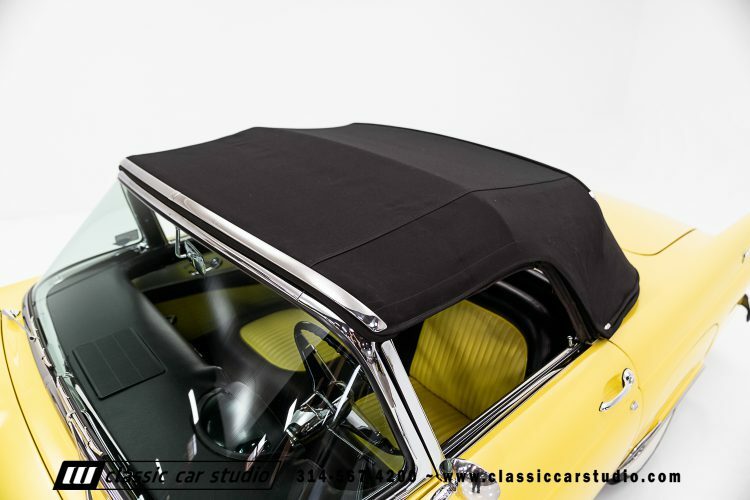 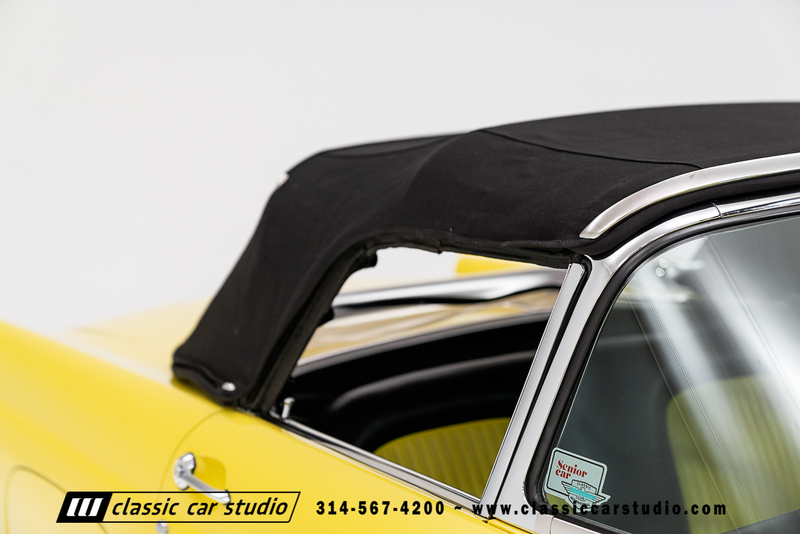 The Thunderbird comes with both tops including a high-quality canvas convertible top. 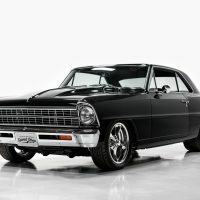 The car drives and rides very well and it’s no accident. All of the brake and suspension components have been rebuilt from front to rear. 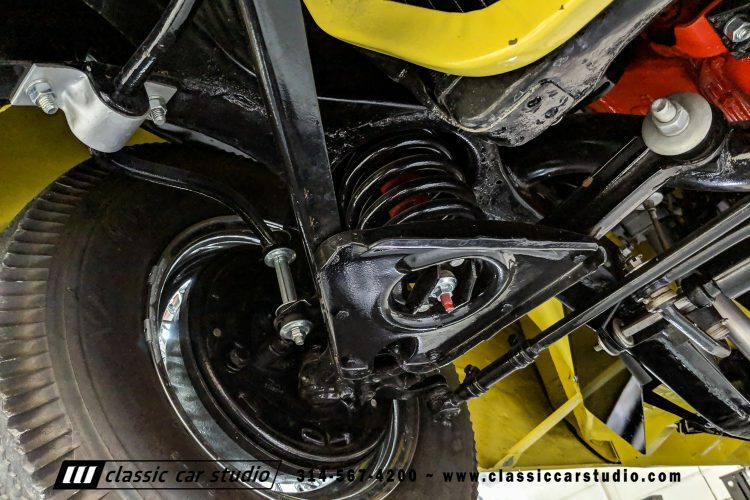 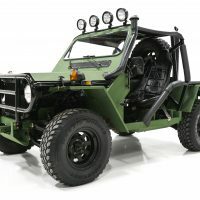 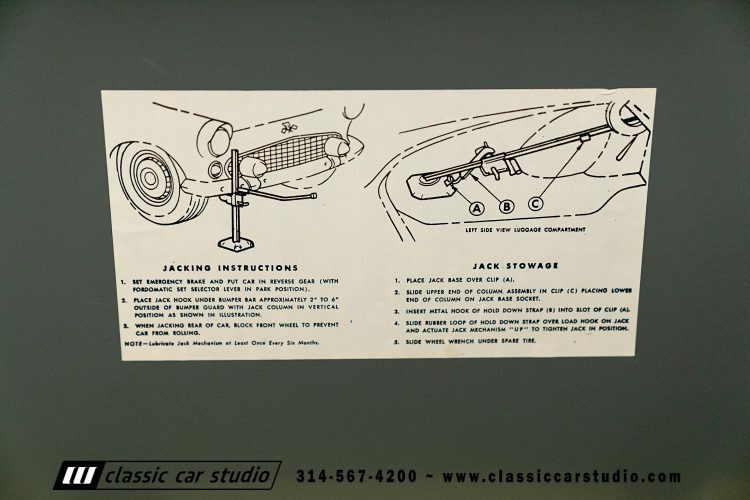 The bushings are new, as are the shocks and steering components, and the power steering pump. 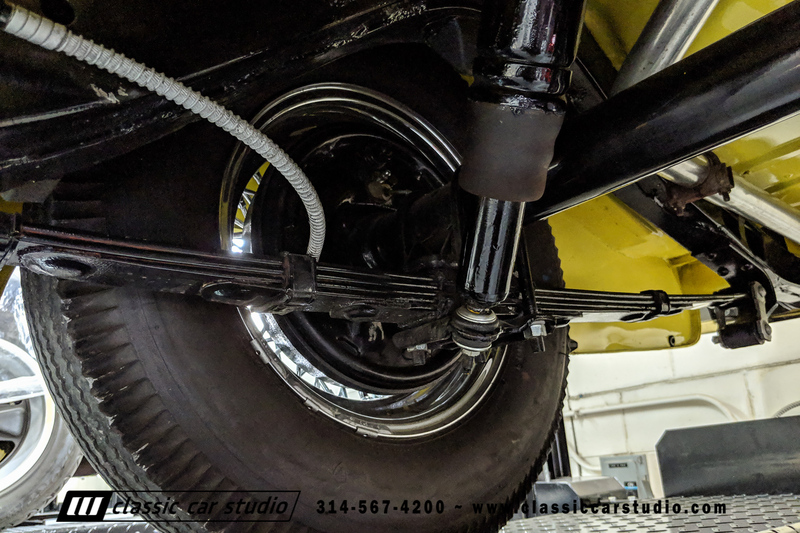 The brake system has been rebuilt as well with all new lines, new hoses, a rebuilt master, wheel cylinders, shoes, adjusters and springs.